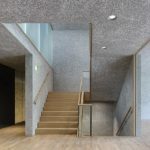 This working method uses different tools to restructure the concrete surface and give it a highly individual look. 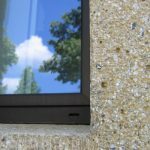 The design of buildings and concrete surfaces is not simply a fashion trend but is instead a desire for improvements in the quality of life. 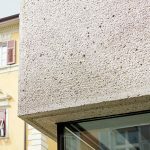 When using different handicraft tools and by applying these working methods, the surface is restructured and the concrete parts are given an individual look. 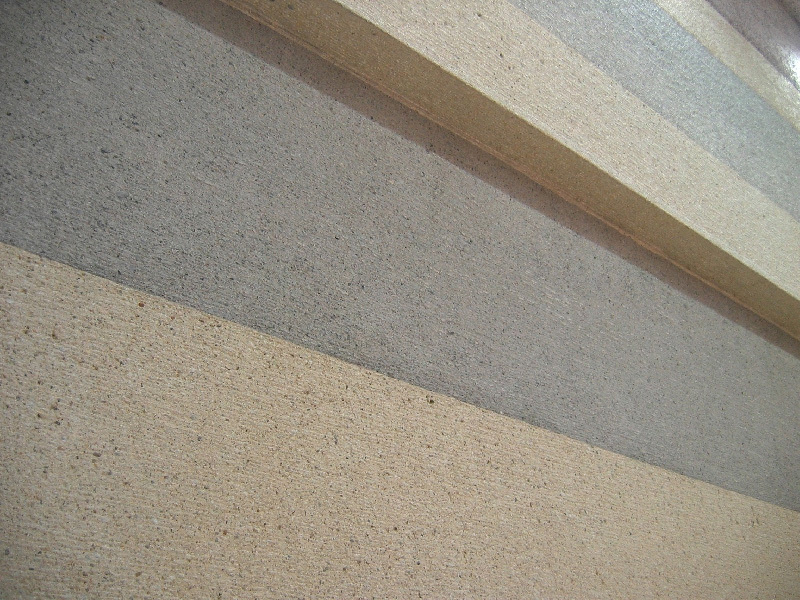 The design of constructions and concrete parts is not a fashion trend, but a wish for more life quality. 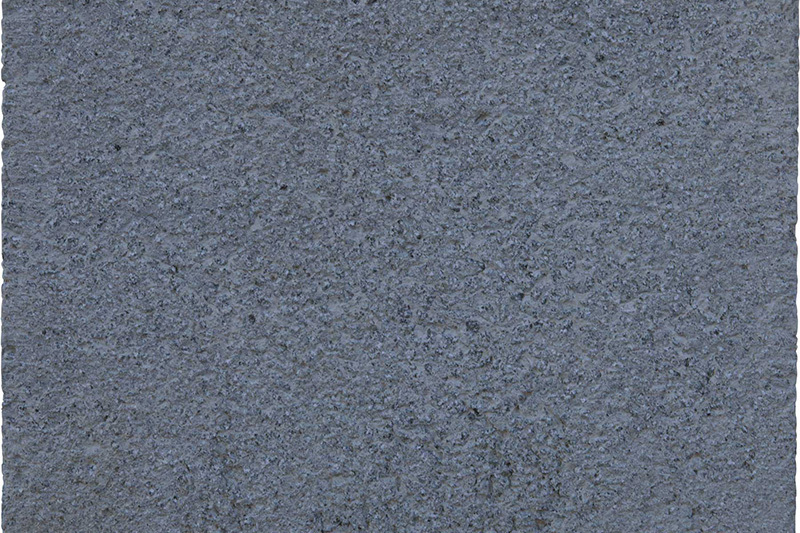 S ince 1994 the stonemasonry firm Miedl has been managed by the two brothers, Martin and Thomas Miedl. 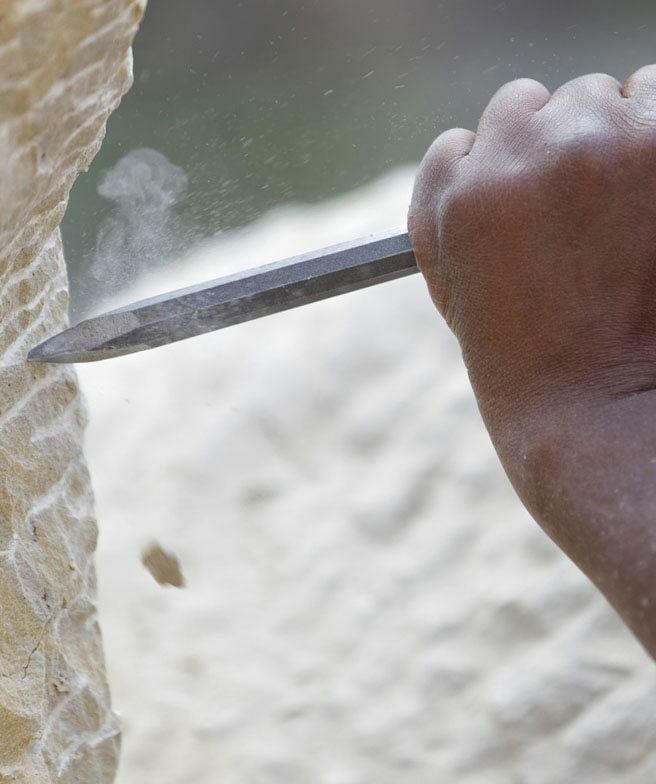 These two master stone-cutters have more than 30 years of experience in their field. 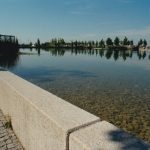 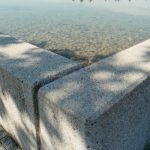 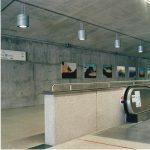 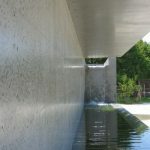 With their extensive experience and flair, the two brothers have developed their classical stone cutting skills into sophisticated techniques for working with concrete surfaces. 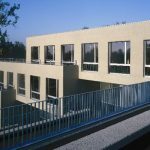 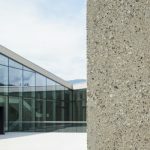 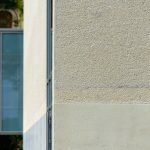 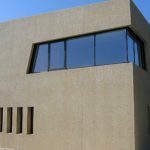 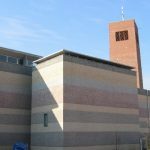 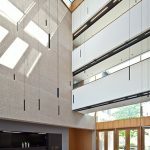 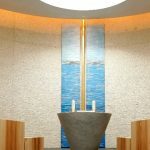 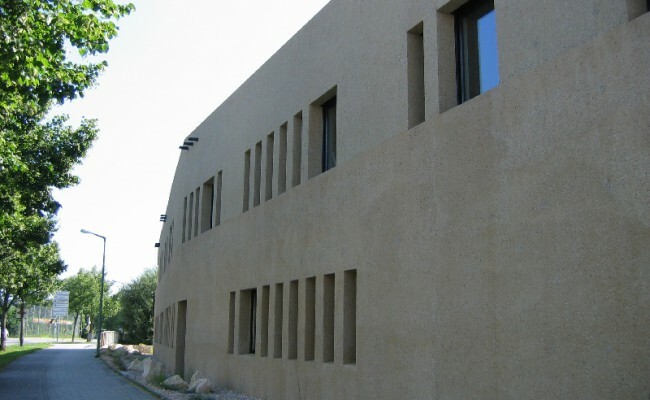 The brothers recognize and value the immense versatility of concrete as a building material and are using their techniques to open up new creative possibilities for architects and constructors. 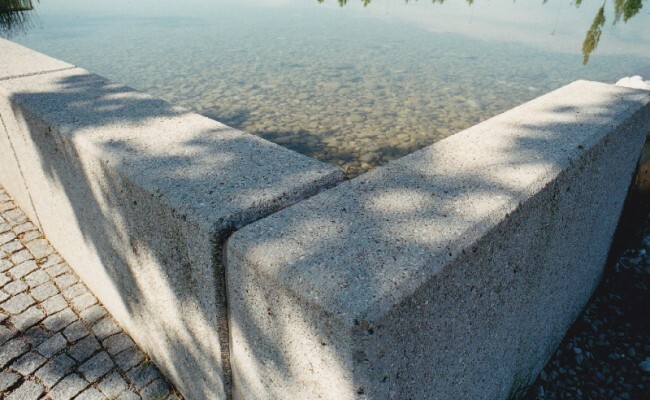 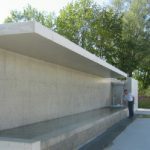 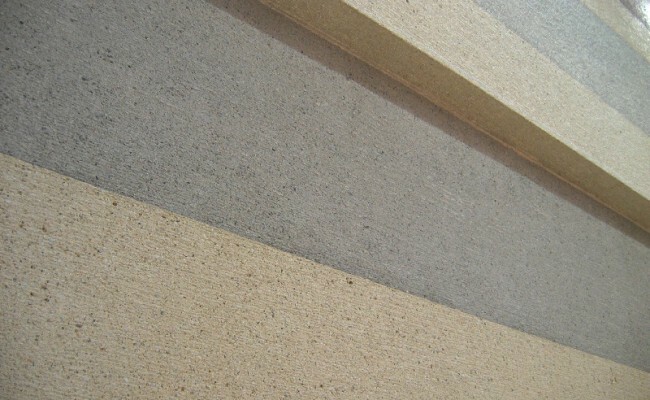 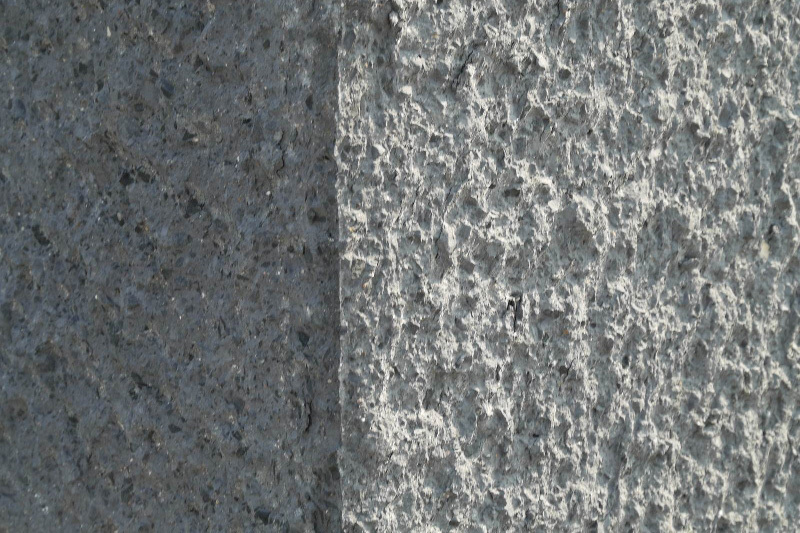 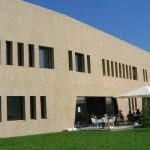 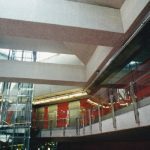 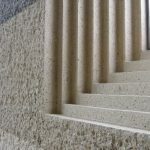 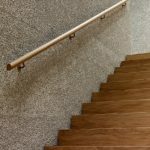 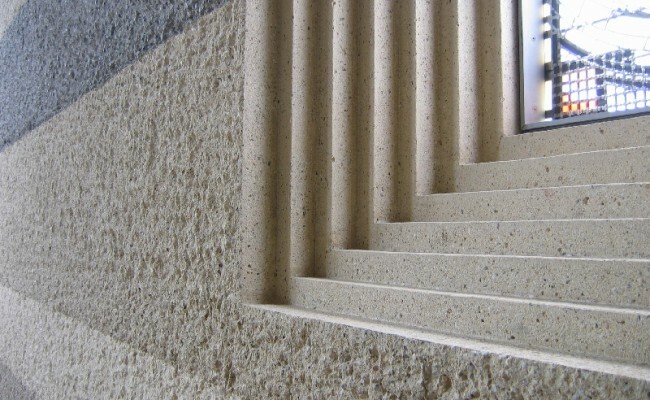 Through the use of characteristic stonemason’s finishing processes, concrete workpieces or precast concrete components such as support walls, garden walls, staircases, platforms, pedestals and pillars can become natural-looking building components that fit harmoniously into their respective architectural style and natural surroundings. 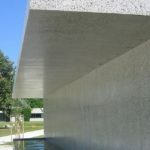 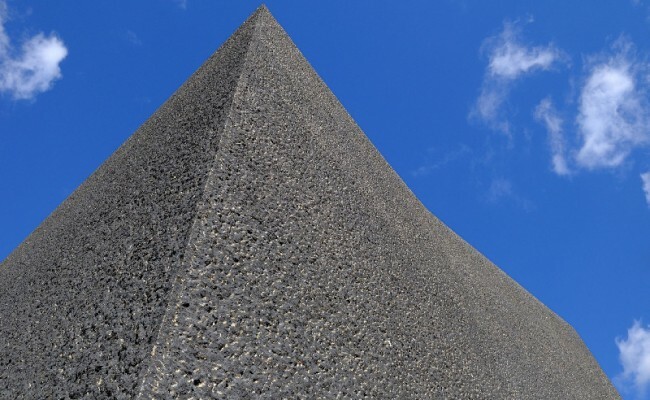 Concrete has become an indispensable part of modern architecture. 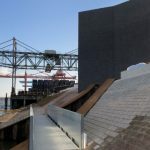 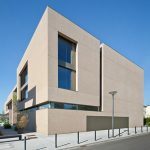 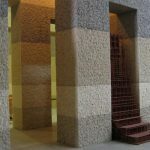 Because of its malleability and functionality there are almost no limitations to the use of concrete in creative architecture. 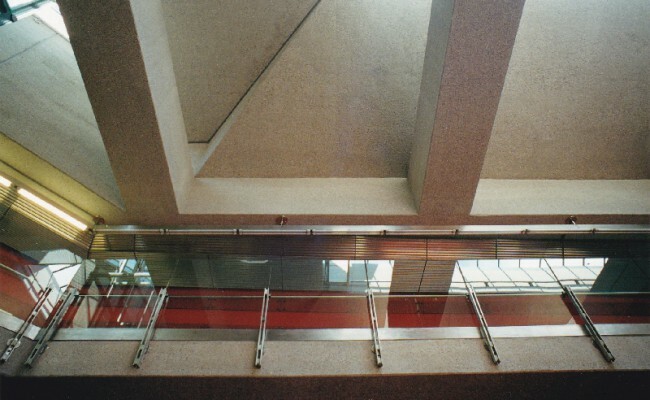 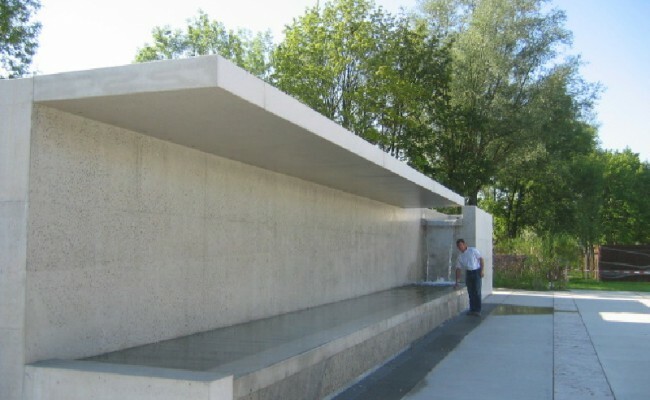 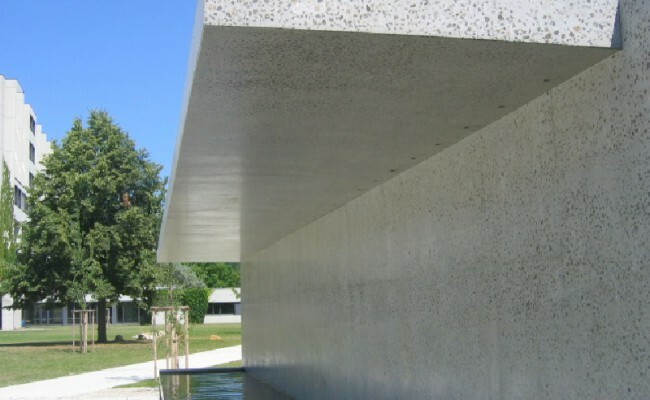 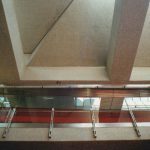 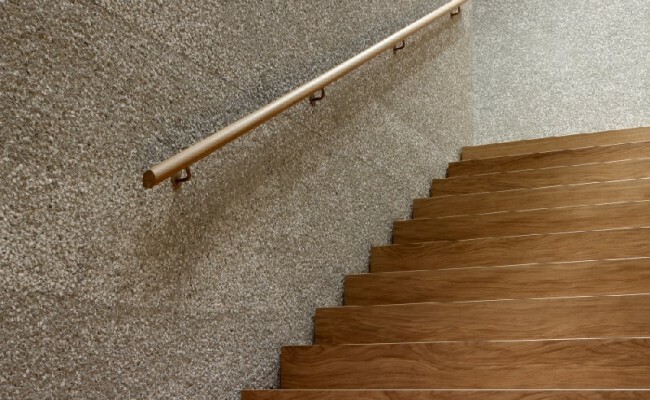 The design of the concrete surfaces is integral to both the support and enhancement of the architecture of buildings. 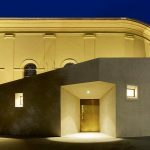 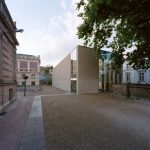 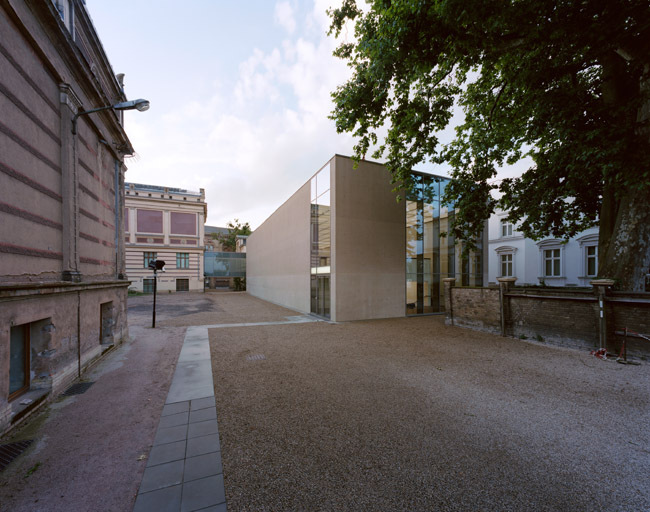 During the course of the renovation of the church forecourt in Hesperange, the run-down sacristy was replaced by a new building. 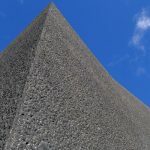 The monolithic building was made of poured concrete and the aggregates of local gravel and yellow sand were bush hammered on the surface. 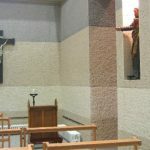 In contrast, the edgings of the windows were not worked on and the end result gives the sacristy a highly distinctive look. The State Museum is an adjunct of the Castle of Schwerin and is characterized by clear geometry and an unassuming style. 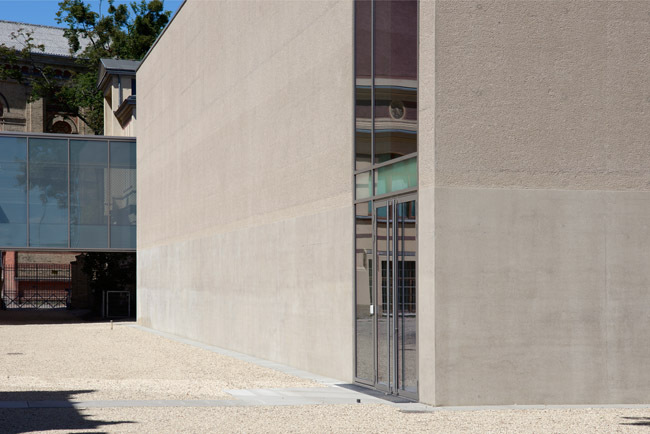 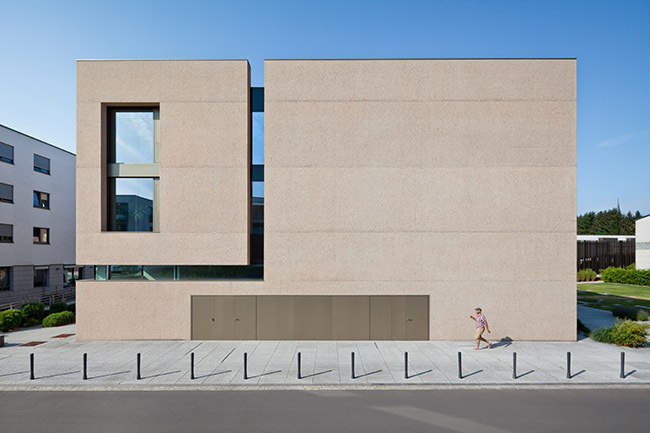 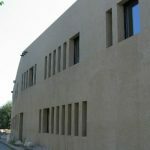 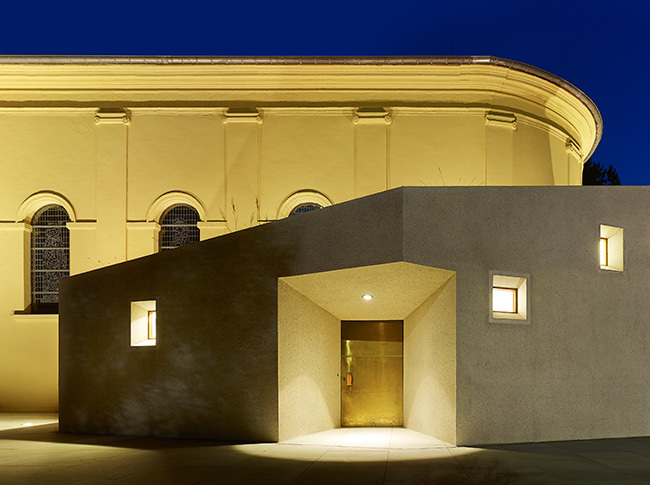 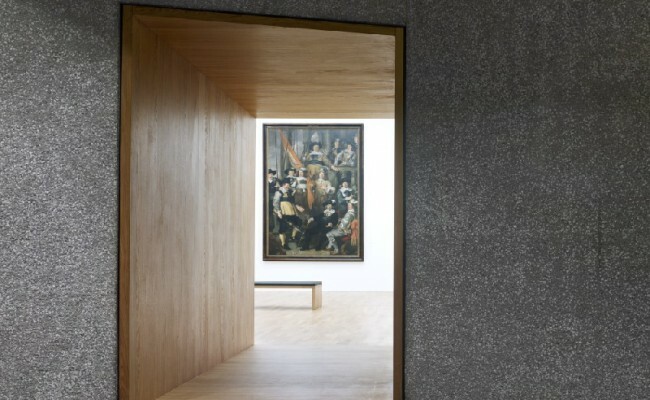 Its sand coloured jointless concrete walls create a link to the old building. 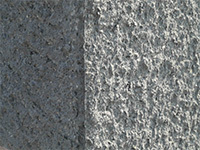 The façade in the lower part is smoothed to a satin finish and above it has been bush hammered. 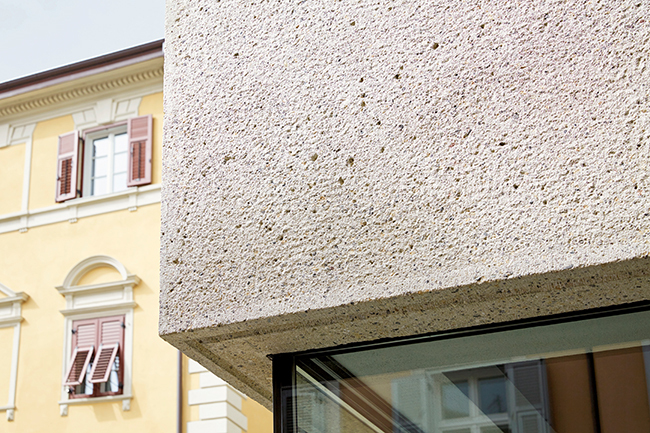 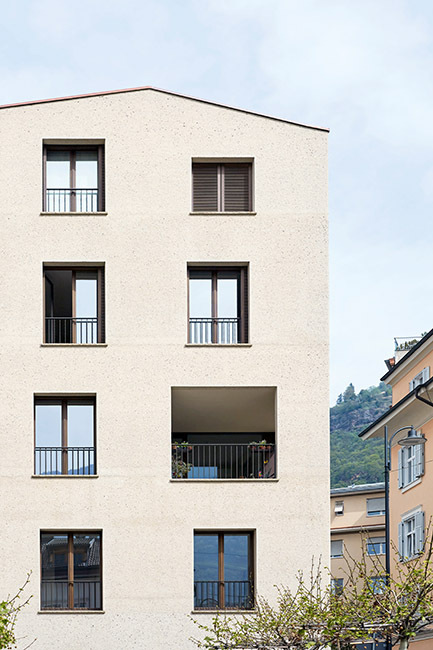 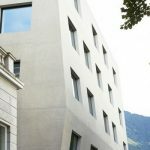 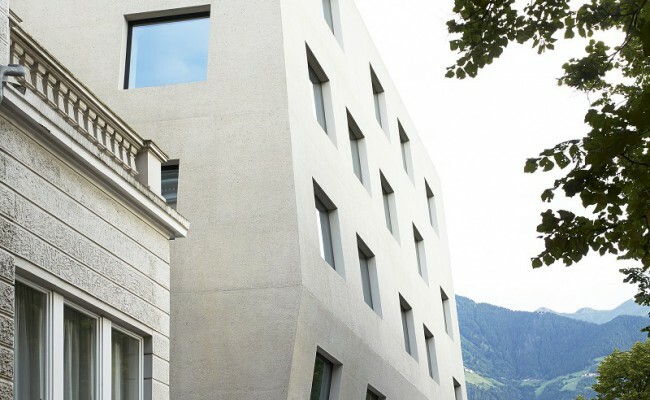 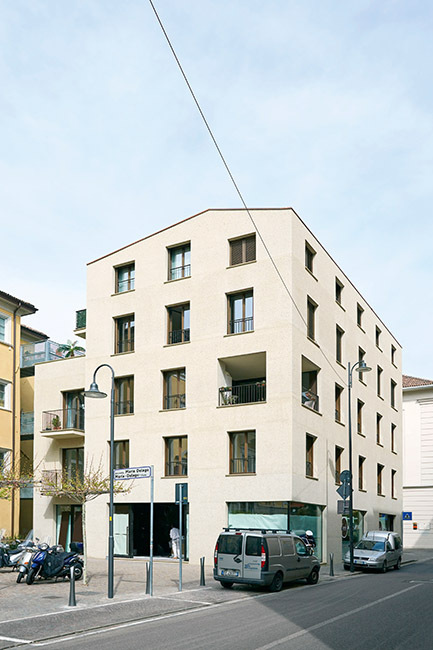 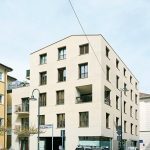 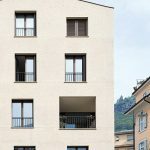 The residential and office building Ex Bar Sabina was built in the historical city centre of Bozen and its shape resembles that of the former buildings. 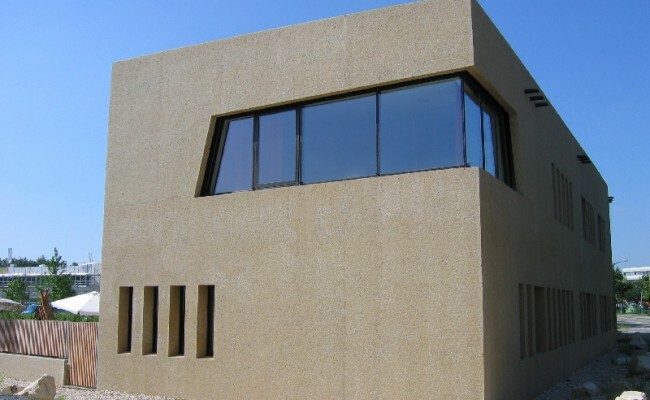 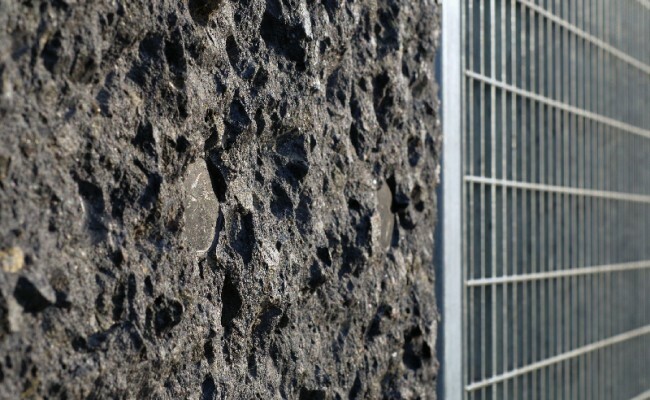 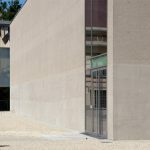 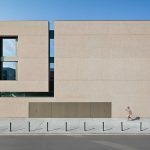 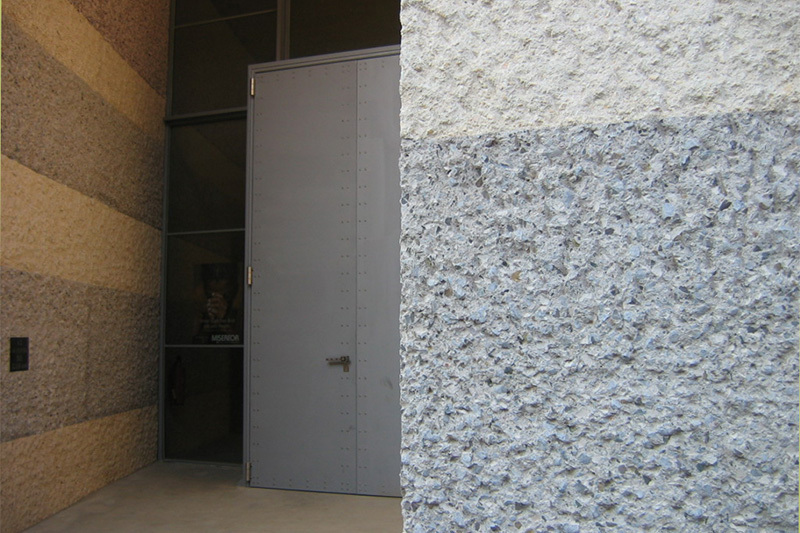 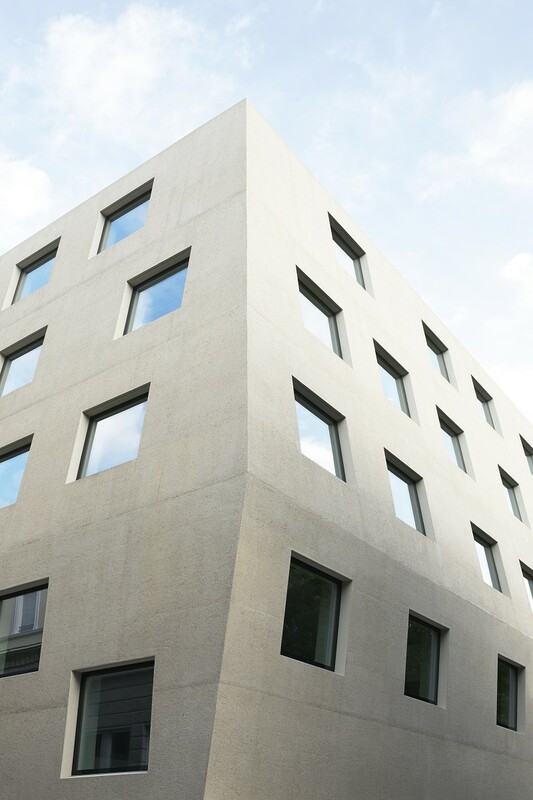 The façade of the cubic building is made of bush hammered exposed concrete mixed with local stones. 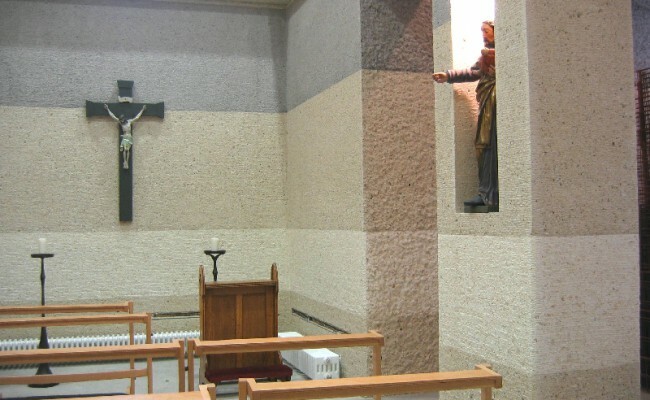 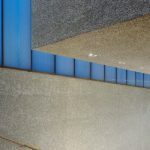 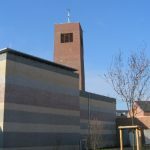 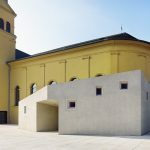 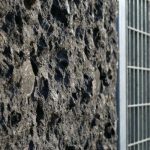 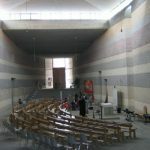 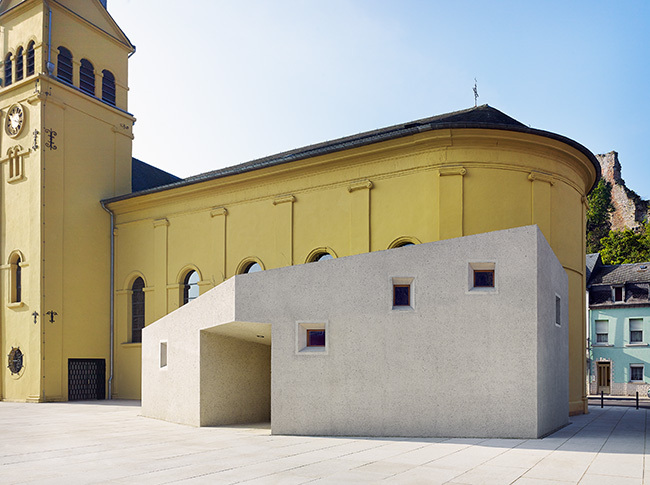 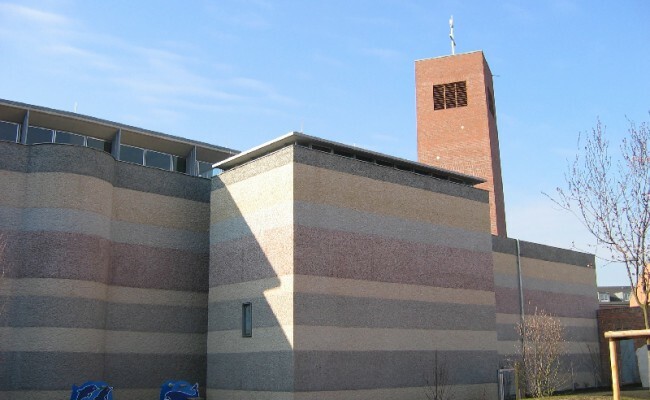 The concrete walls of St. Catherine’s Church, situated in the Blumenberg district of Cologne, are built of ready-mix concrete accurately cast in situ layer by layer. 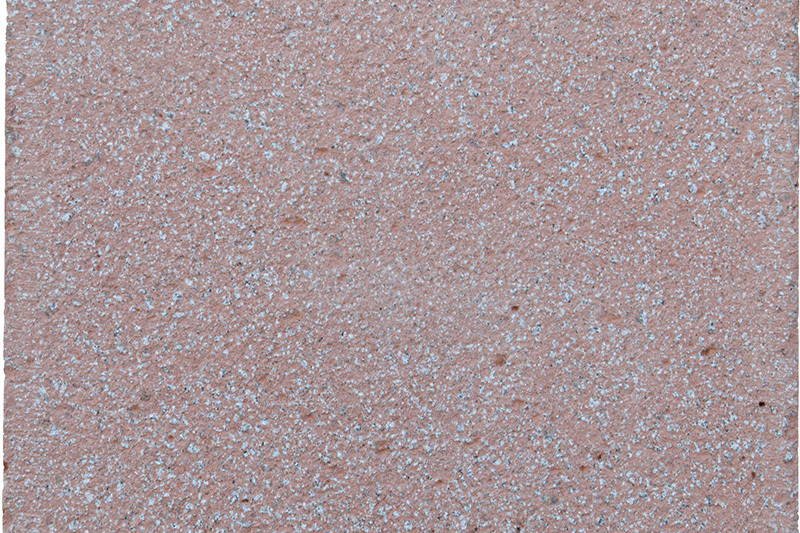 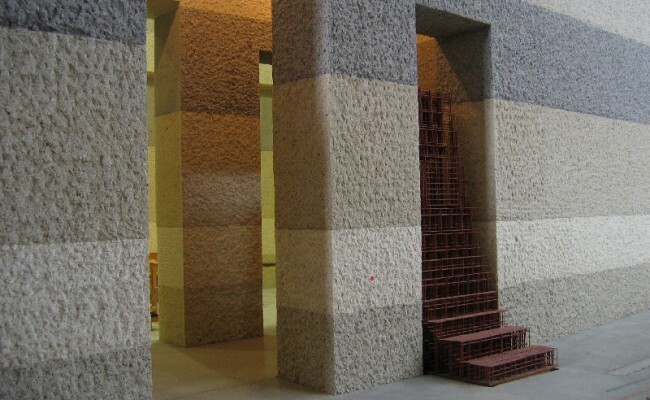 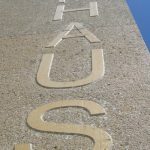 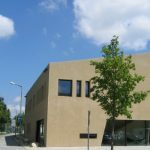 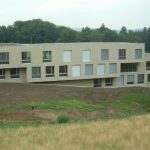 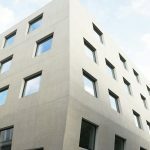 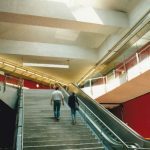 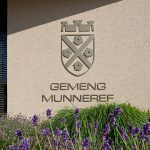 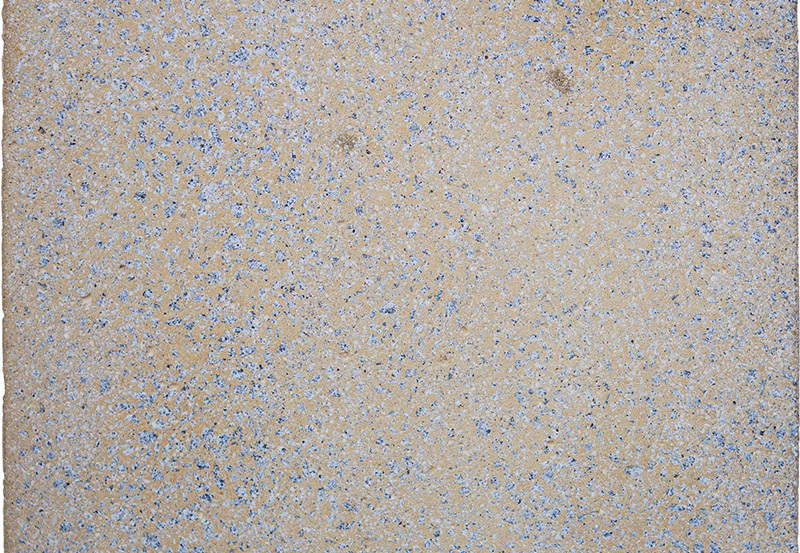 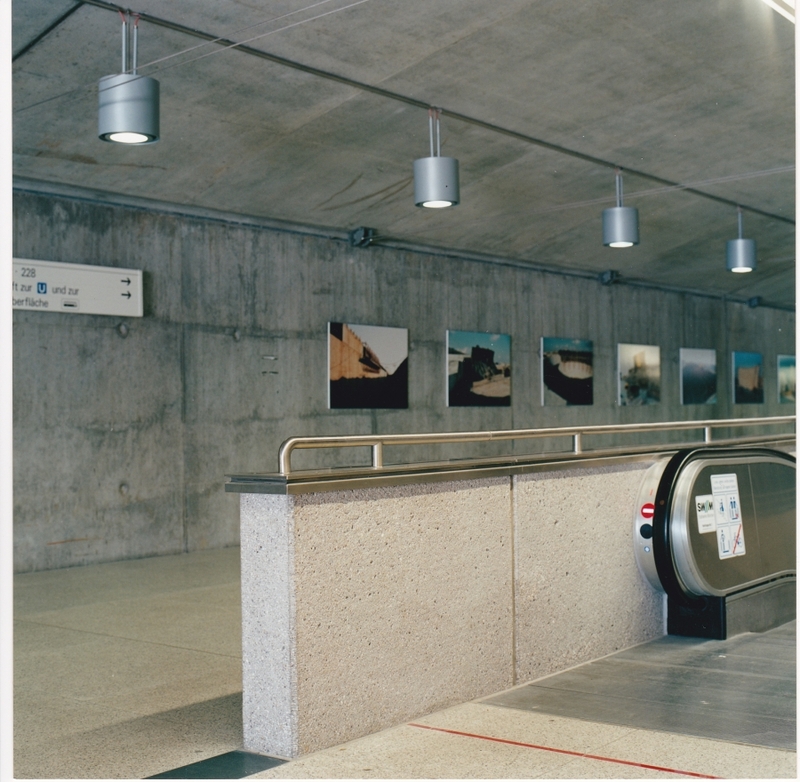 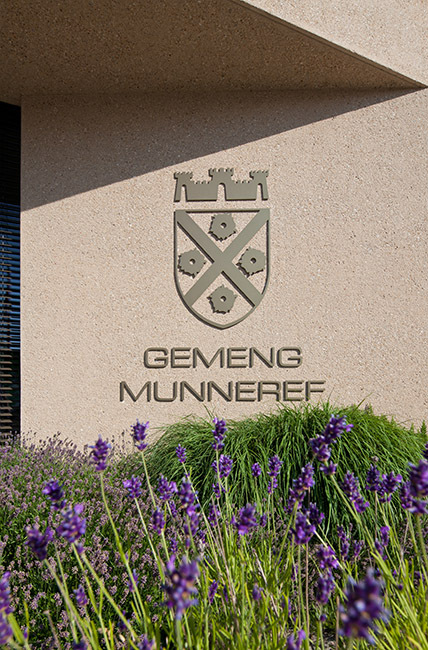 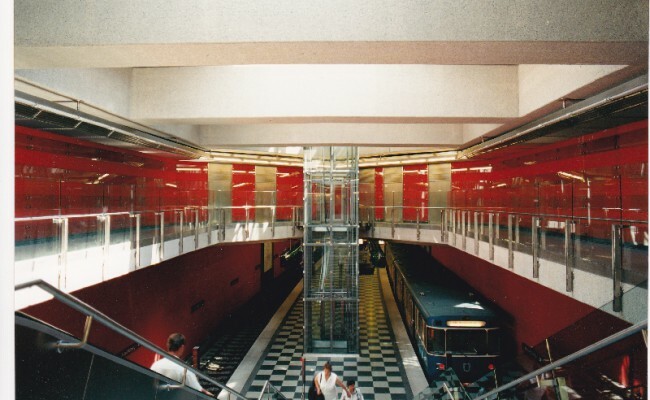 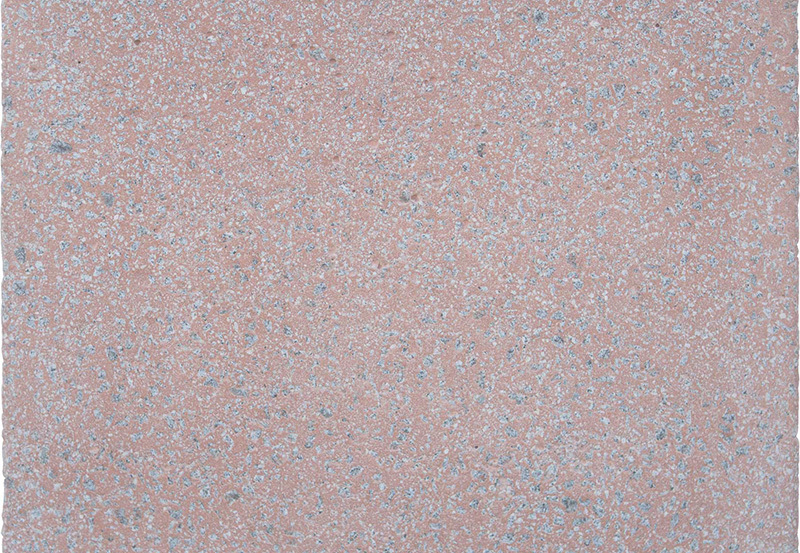 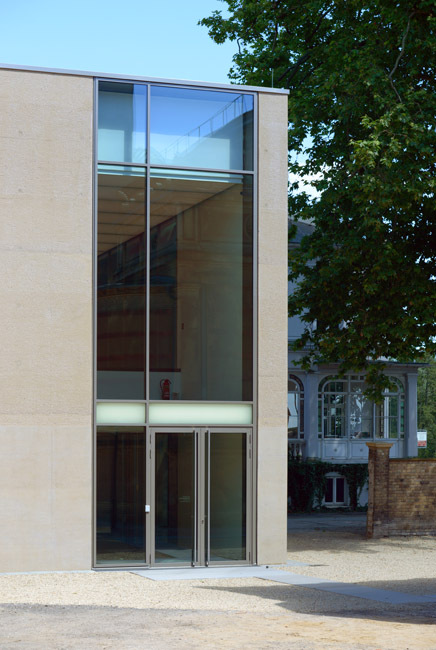 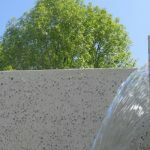 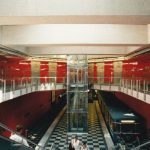 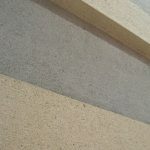 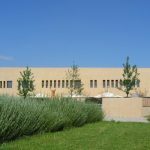 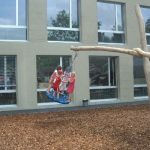 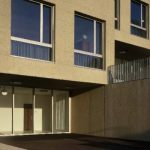 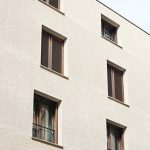 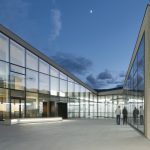 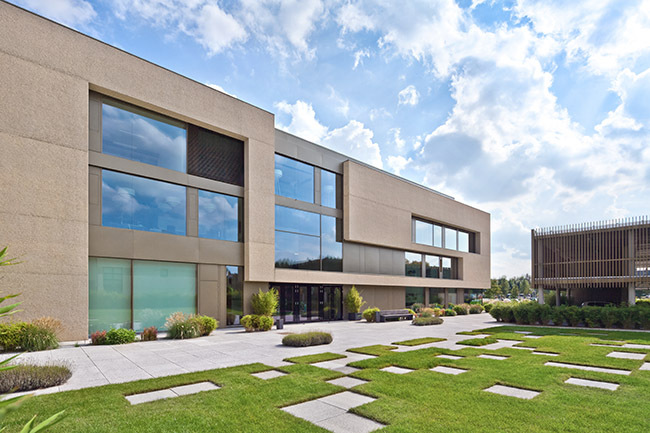 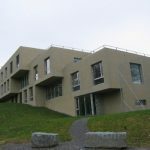 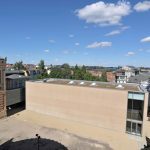 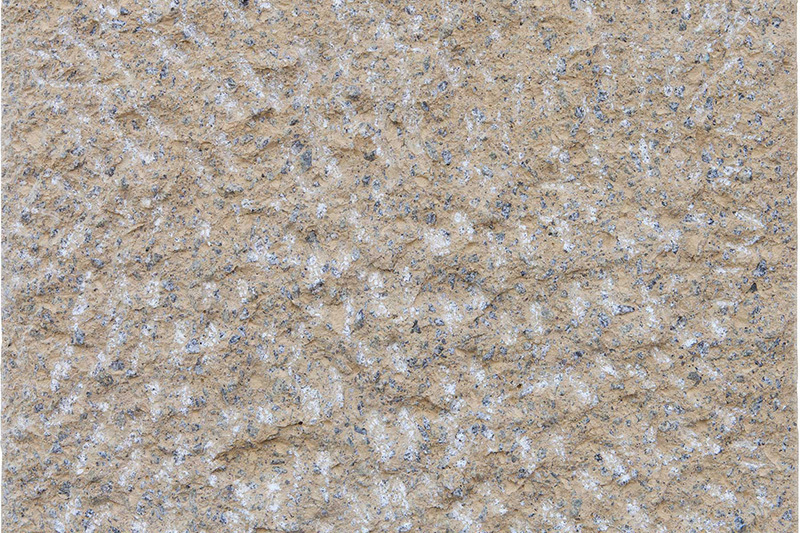 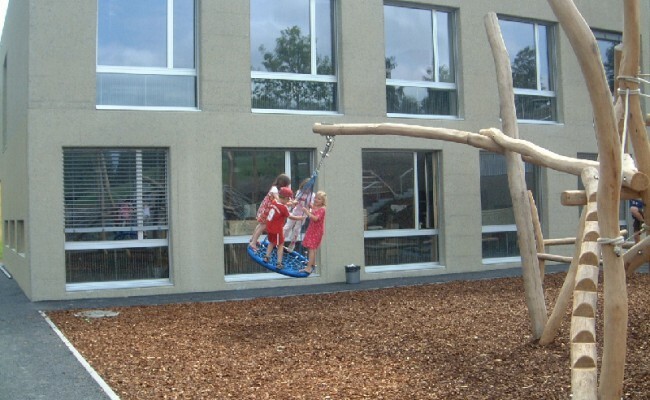 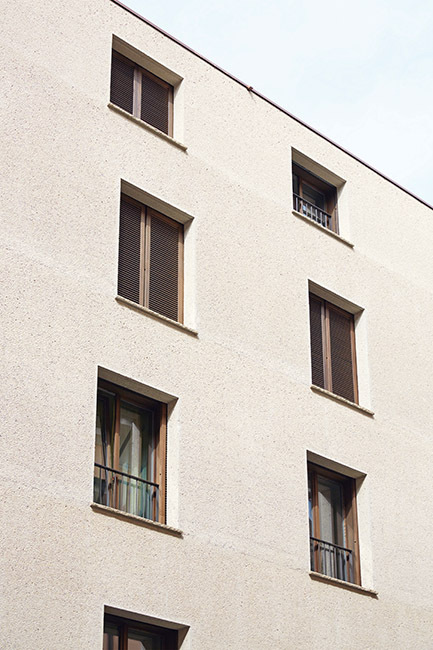 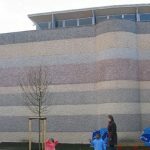 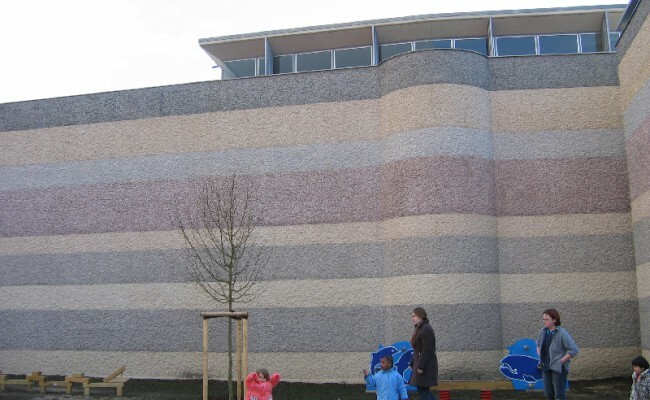 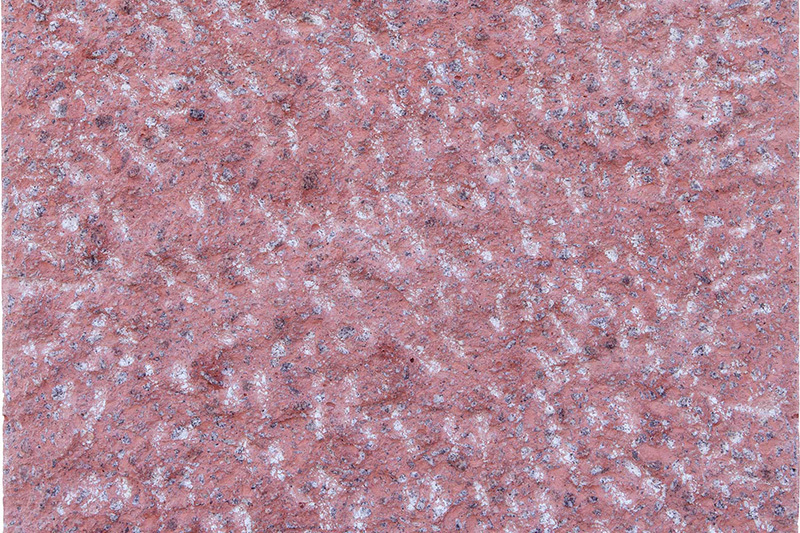 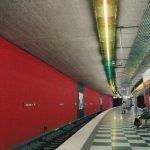 The colour variations were achieved solely by blending local natural stone aggregates which were then used in combination with Dyckerhoff Weiss cement. 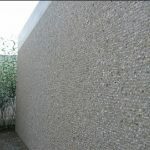 After the concrete was set and struck, the walls were processed by the Miedl Stonemason Company, applying the traditional stonemason’s techniques of pointing, stabbing, bush hammering and charring. 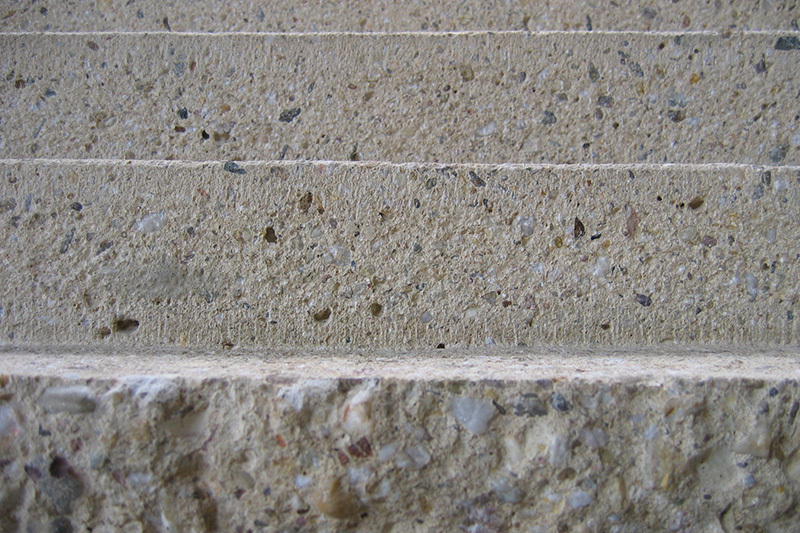 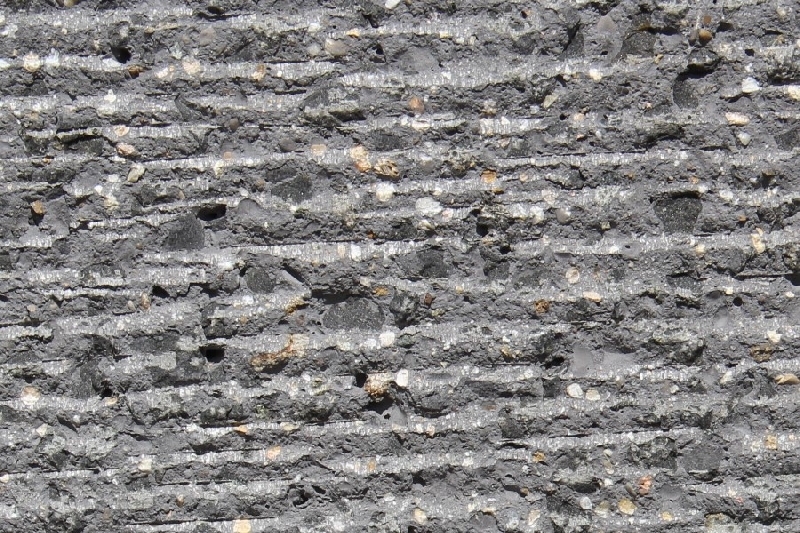 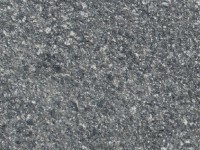 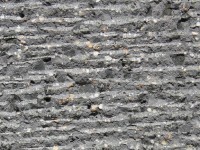 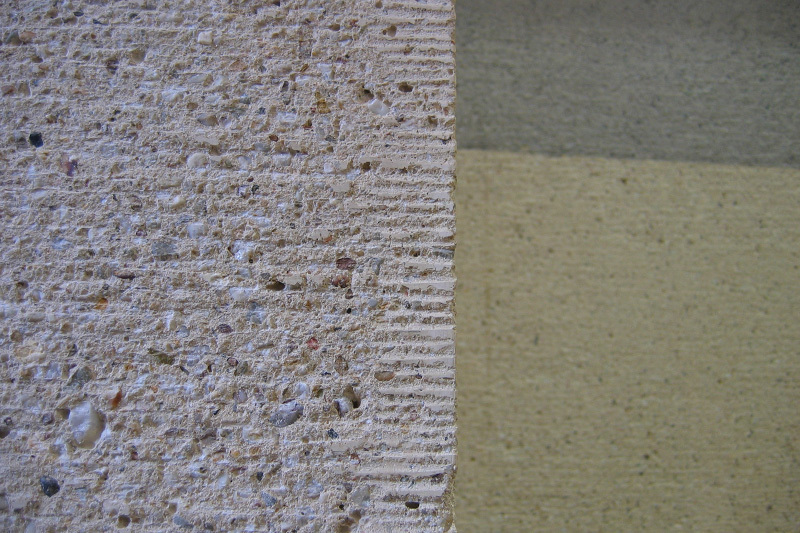 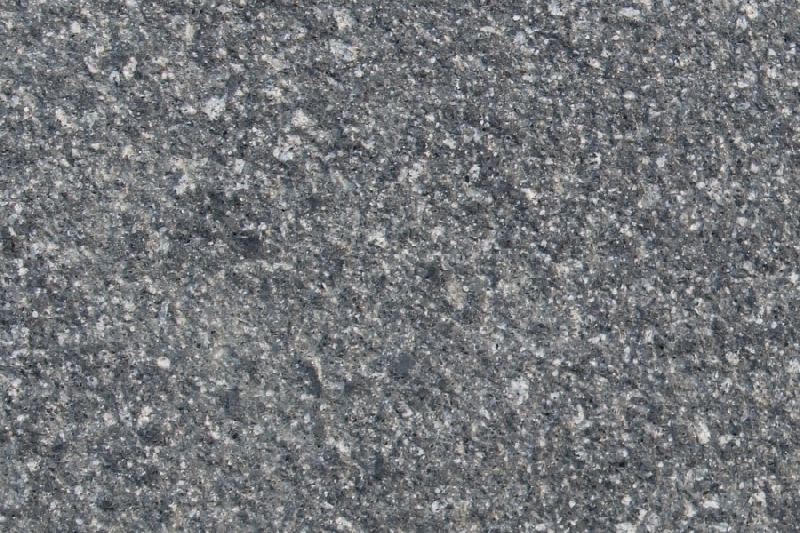 The structure of the concrete surface have the same deep structure than banded rocks. 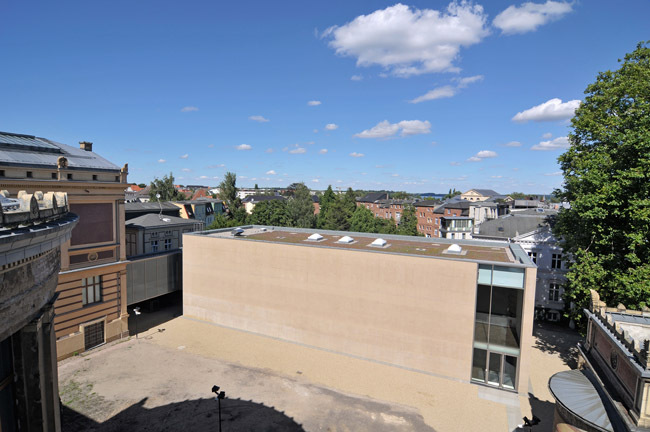 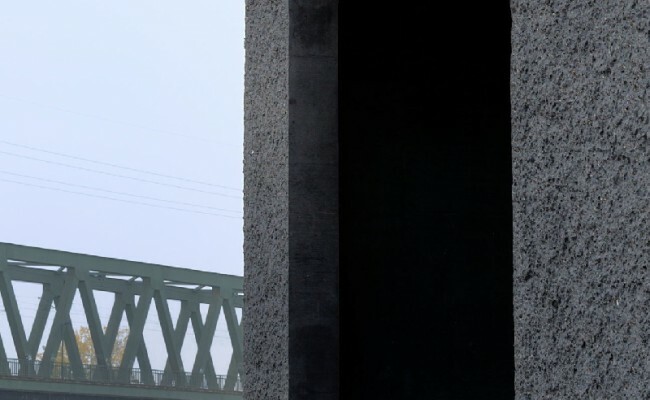 The high water pump station at Gassnerallee in Mainz rises up as a cube-shaped monolithic building with neither windows nor joints. 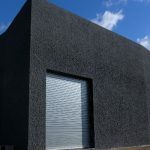 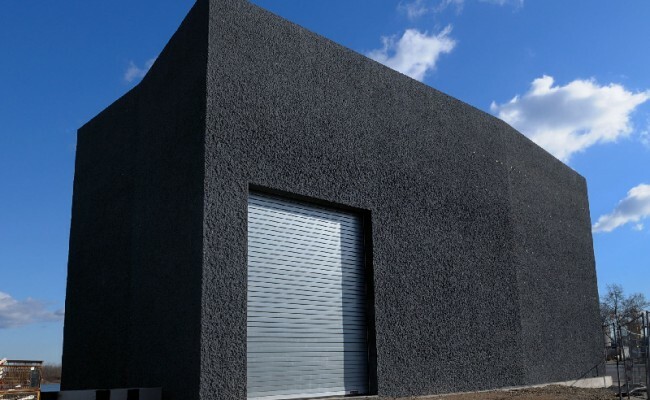 The exterior walls are made of black pigmented concrete with basalt chippings added as mineral aggregates. 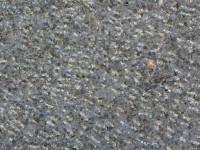 The surfaces were bush hammered and the effect appears increasingly more delicate towards the top. 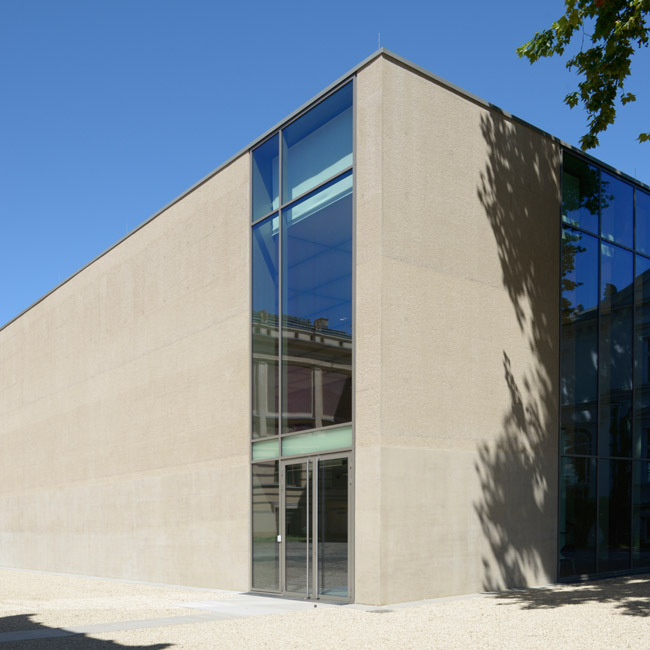 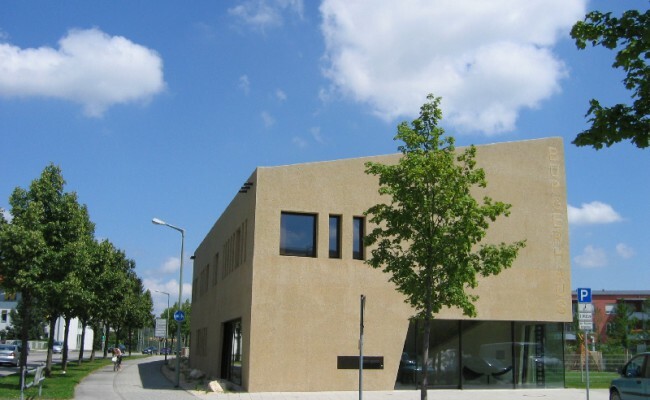 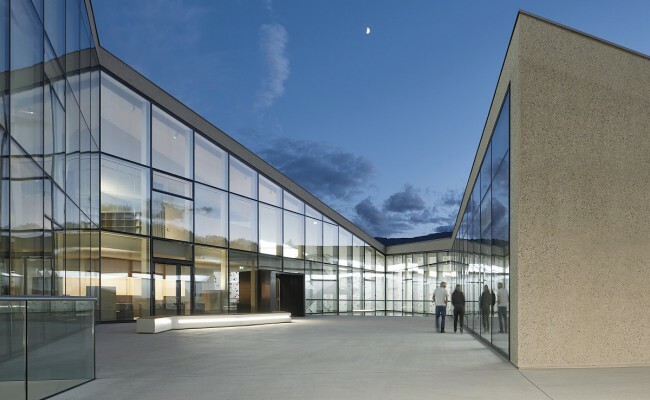 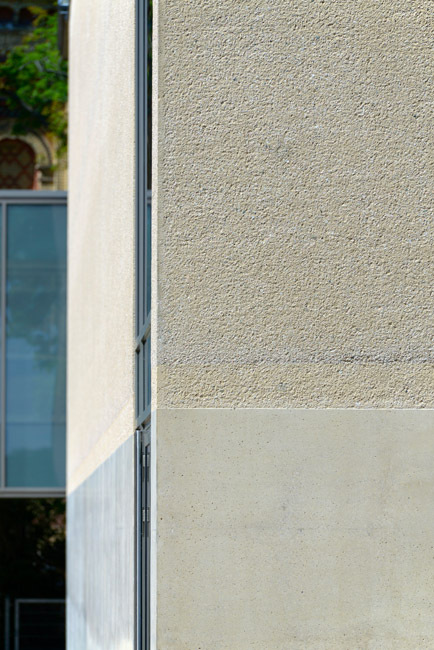 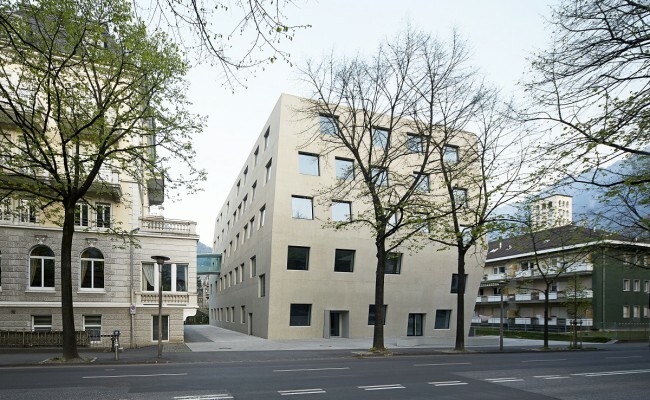 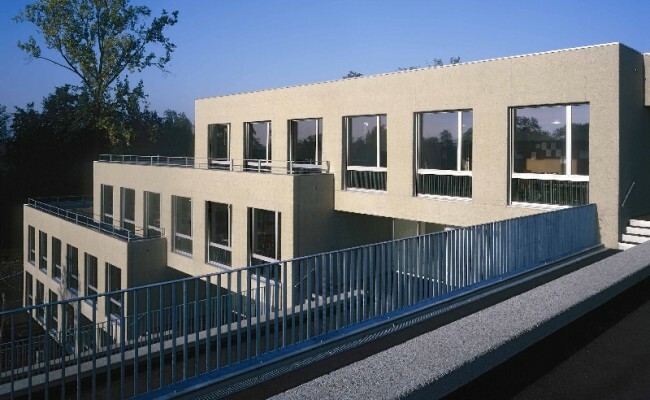 The futuristic community centre in Bad Mondorf has a fully bush hammered façade. 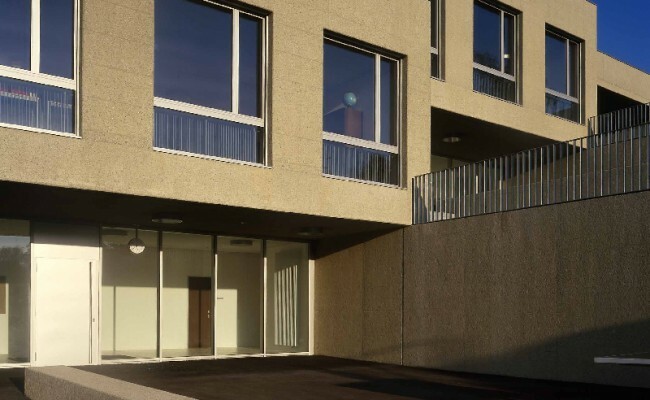 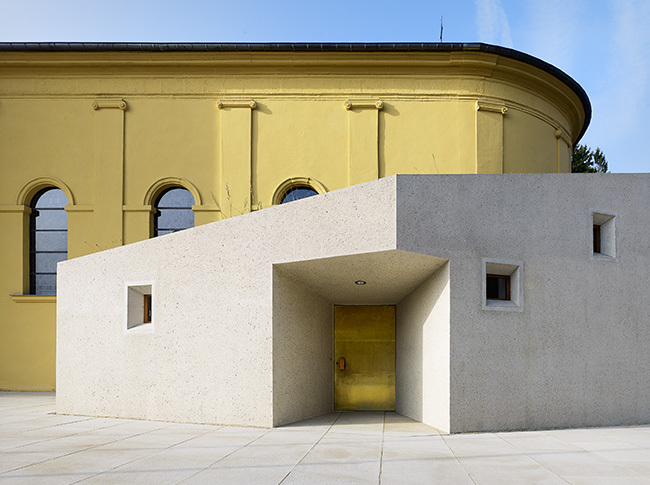 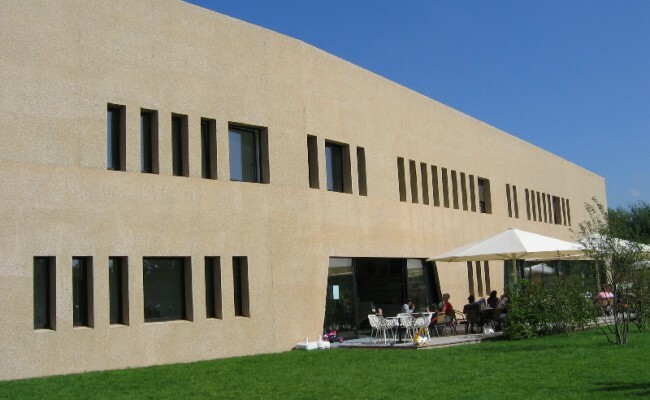 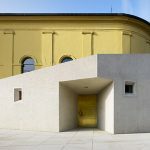 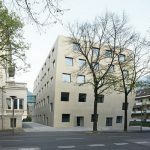 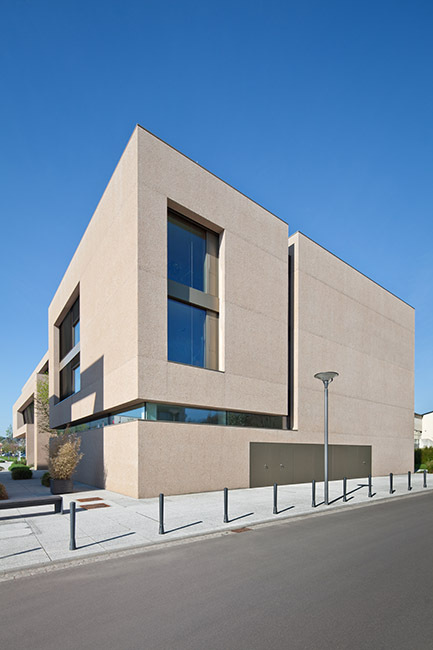 The inspiration for the façade design was provided by the ochre coloured rock structure of the surrounding area of Mondorf. 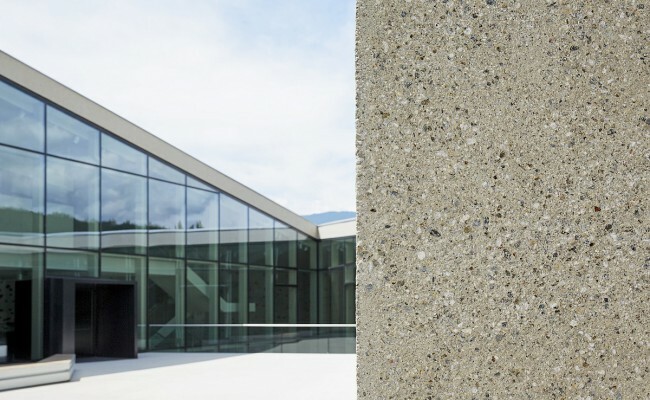 The application of exposed concrete resembles in composition, grain size and colouring the natural landscape so that the building appears embedded in its local setting. 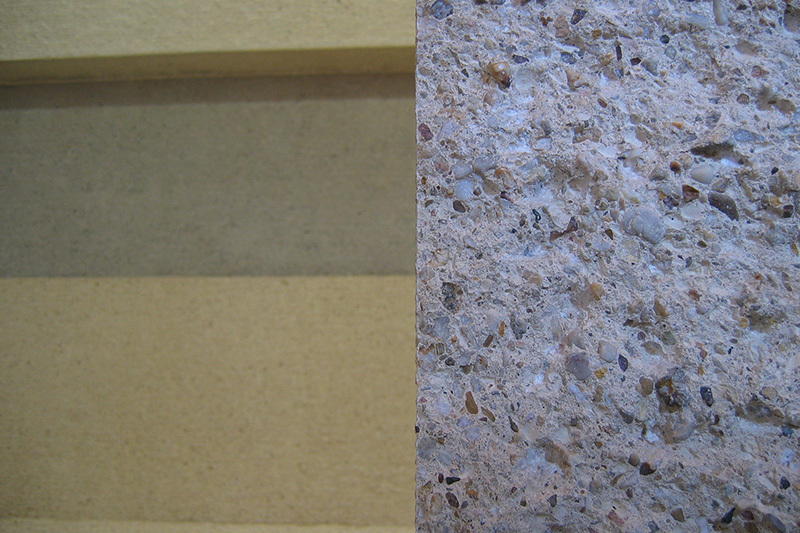 The craft-like processing and the different concrete phases are conspicuously visible in order to exhibit the natural layers of the rocks. 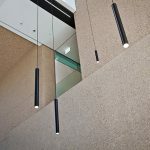 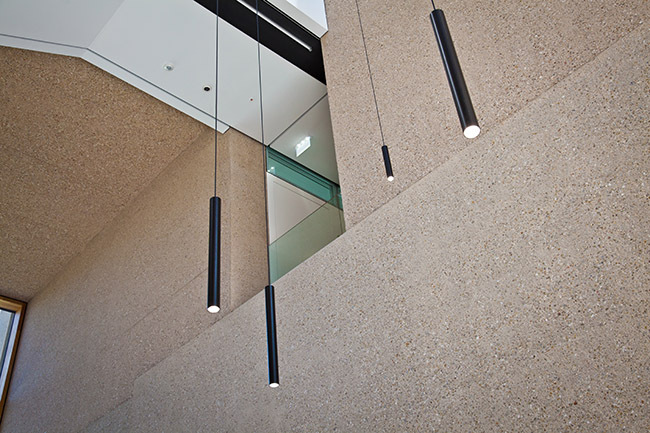 In the ample reception area elements like the concrete walls and ceilings have been bush hammered and polished with diamond abrasives. 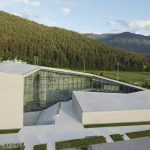 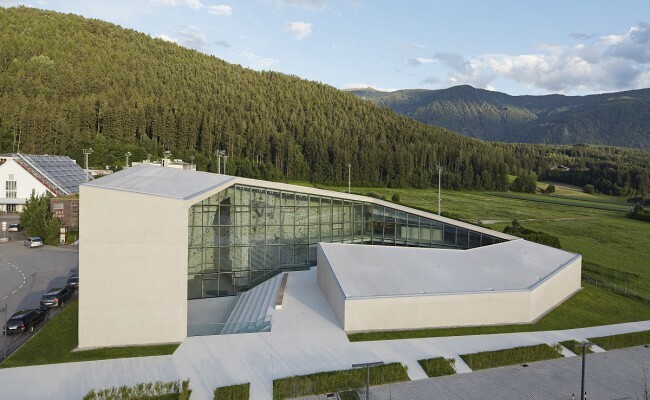 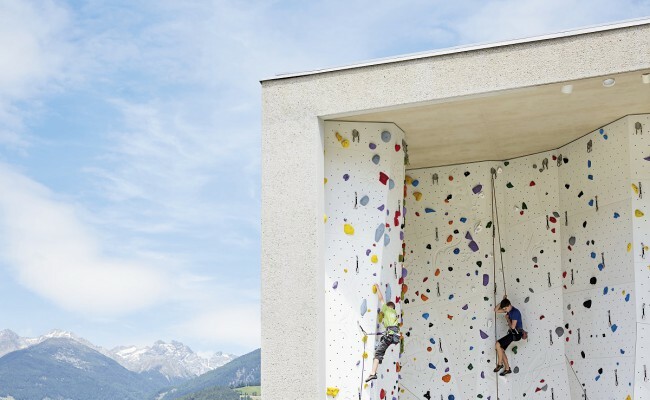 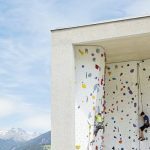 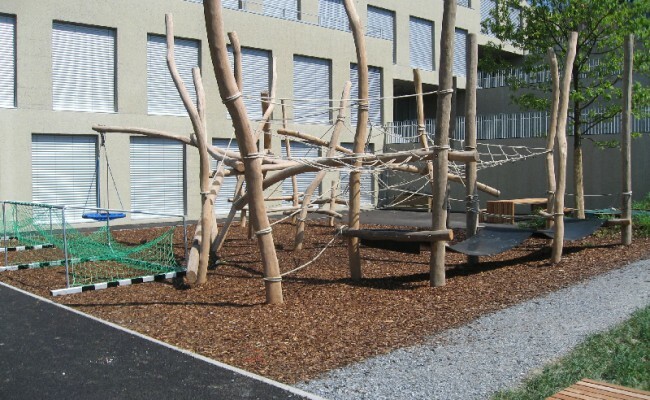 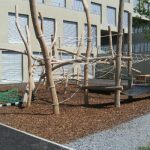 The climbing centre can be found on the outskirts of Bruneck and has an irregular singular shape. 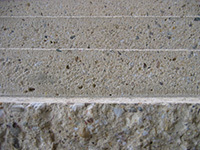 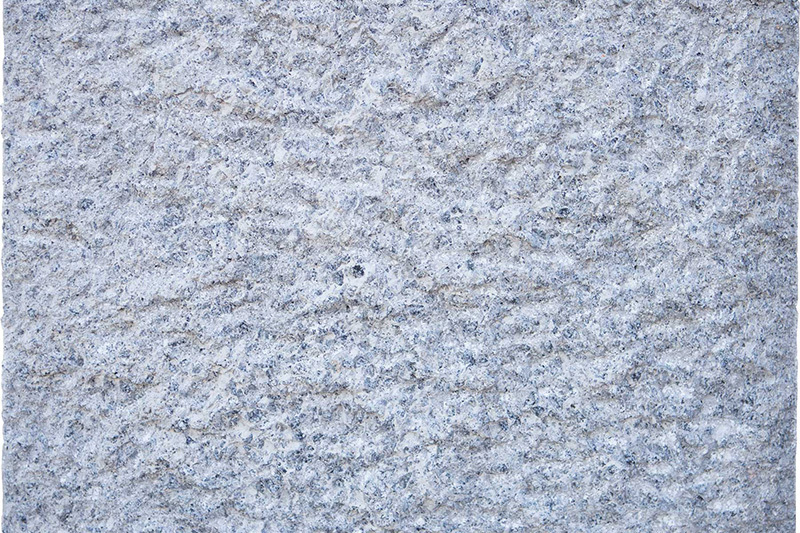 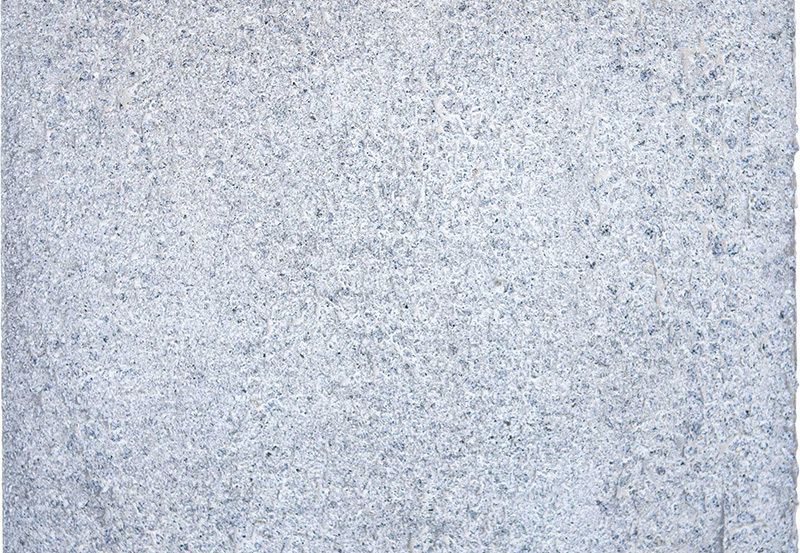 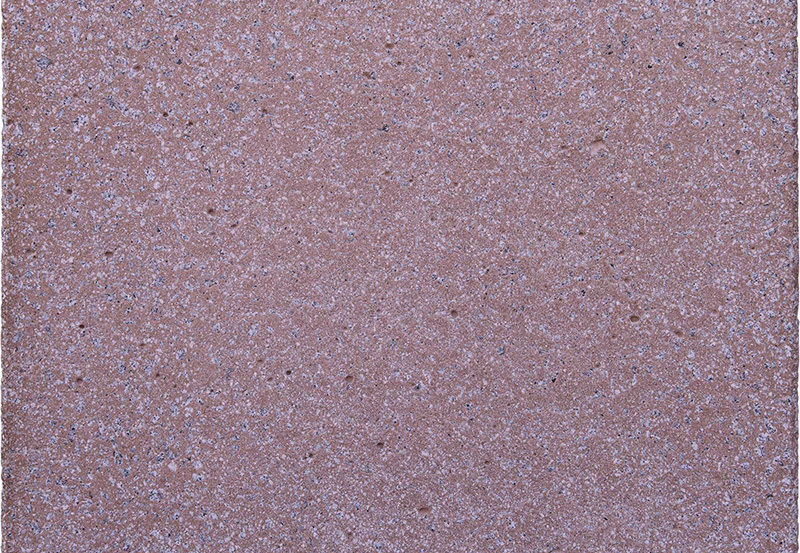 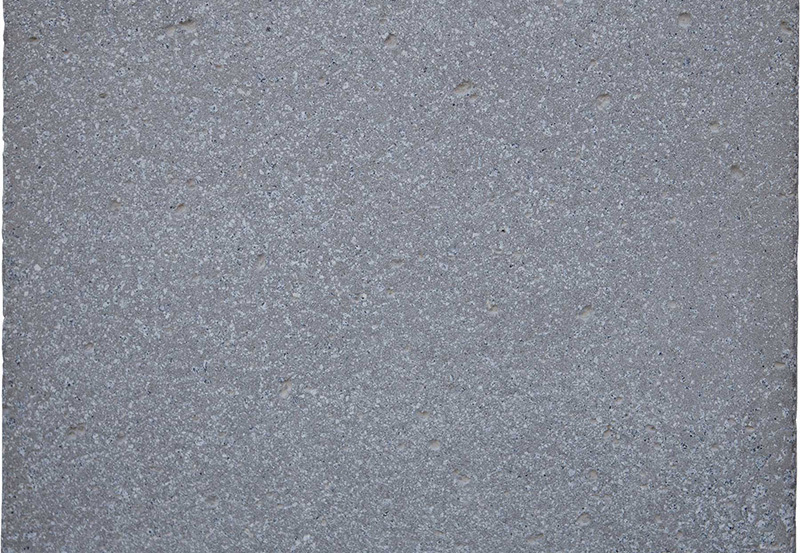 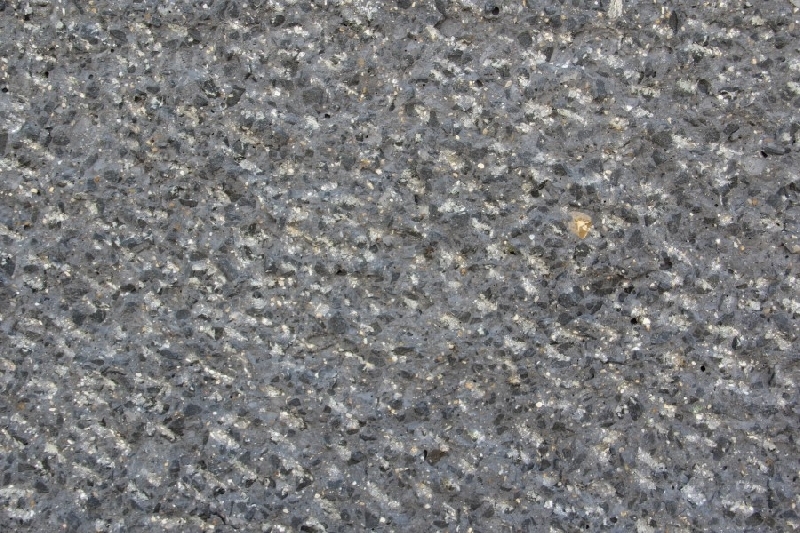 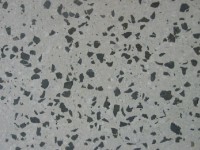 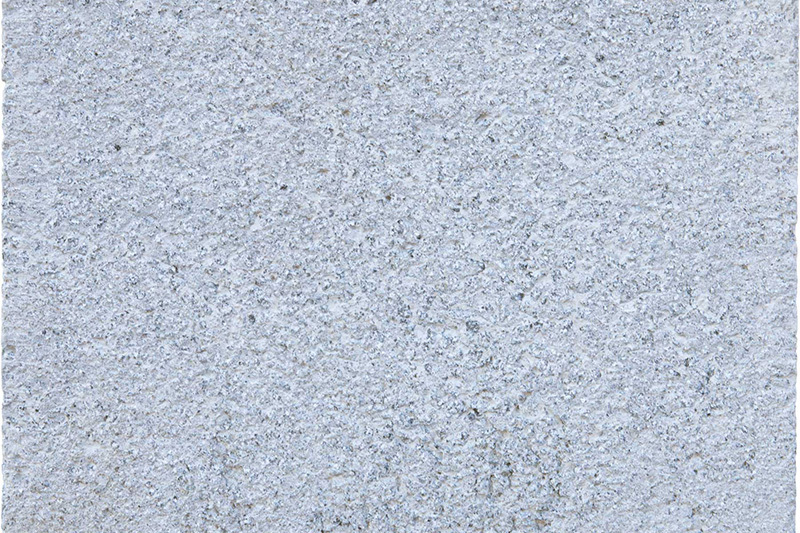 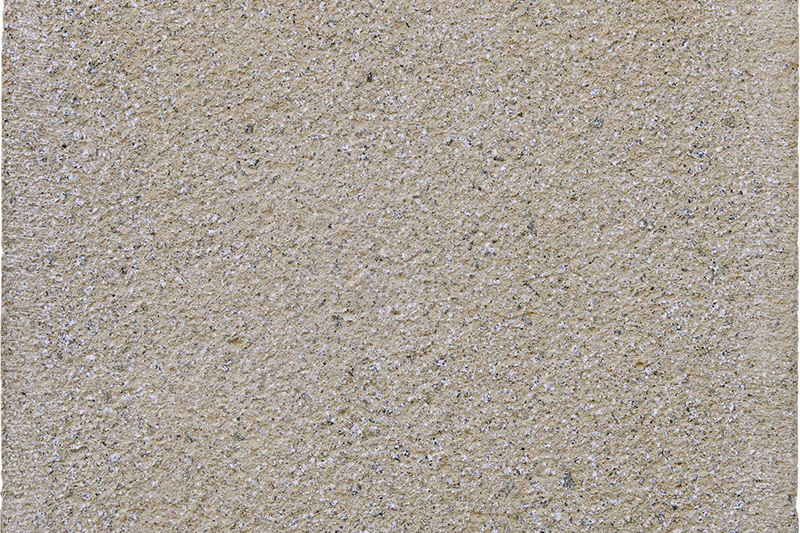 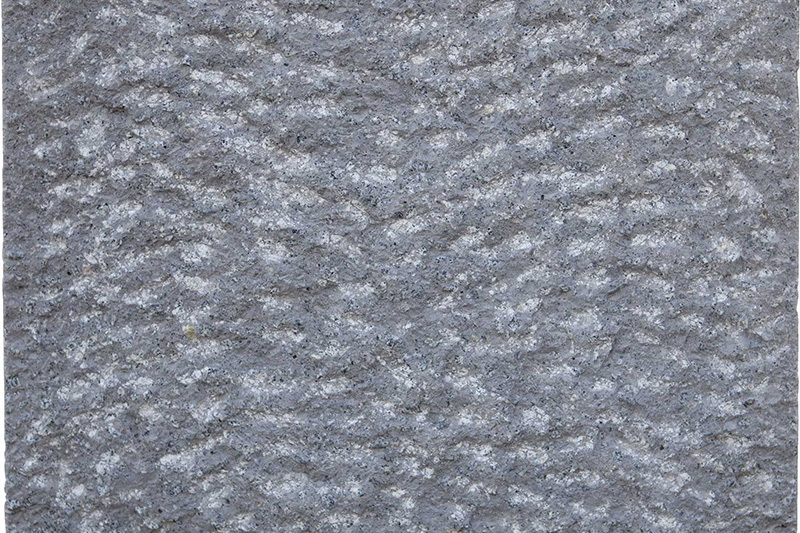 It is made of exposed concrete with a bright limestone colouration. 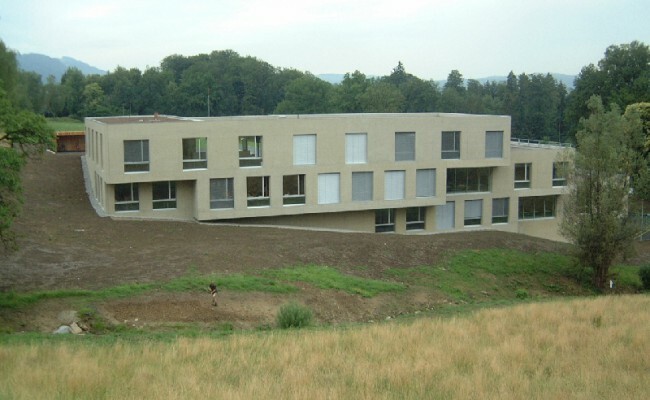 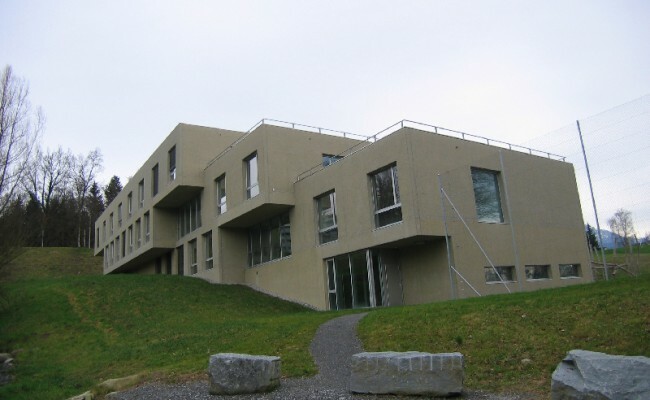 The entire building of exposed concrete is located in the new town centre of Poing. 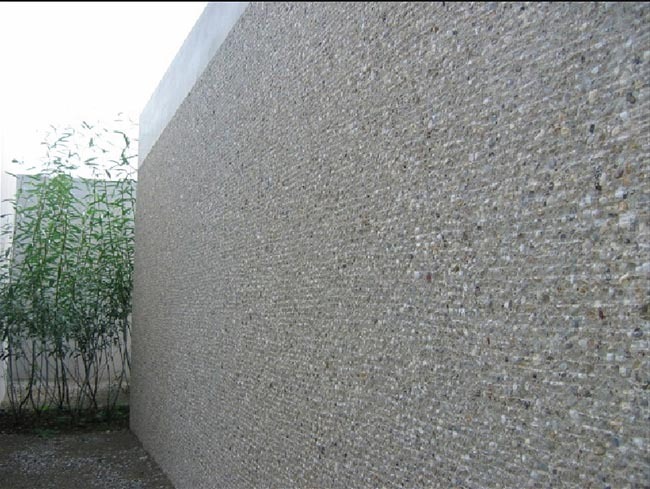 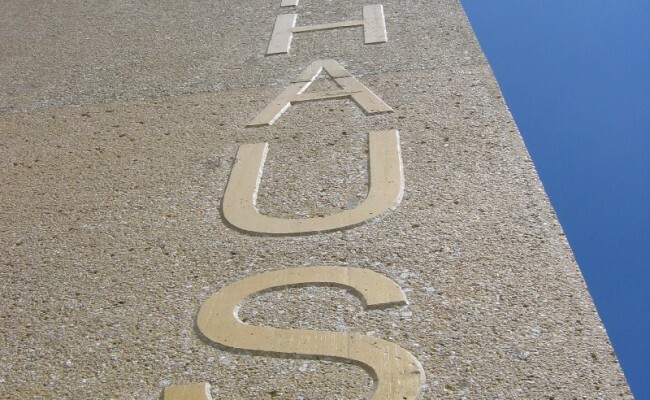 It was built with exposed concrete which is yellow-pigmented and is bush hammered overall. 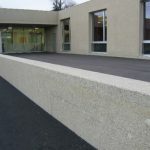 As previously mentioned, the bush hammering of concrete is a traditional craft and the result it produces at Poing’s community centre is to create an attractive warm appearance. 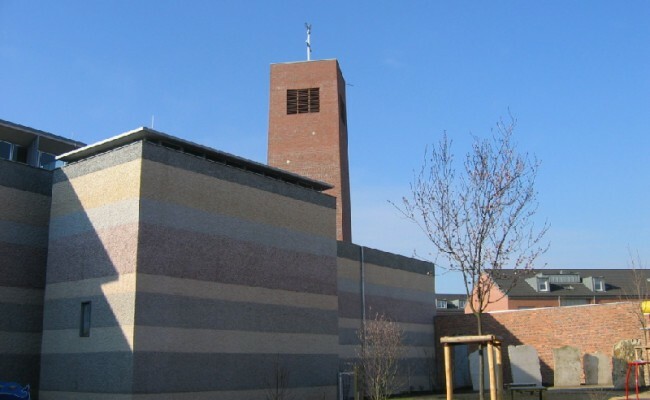 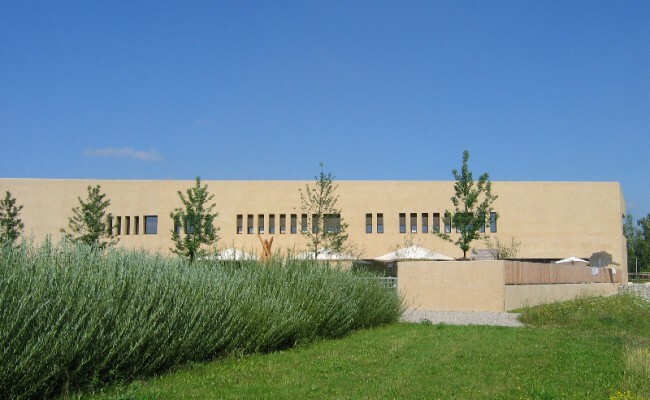 The catholic school is located in the west of Regensburg. 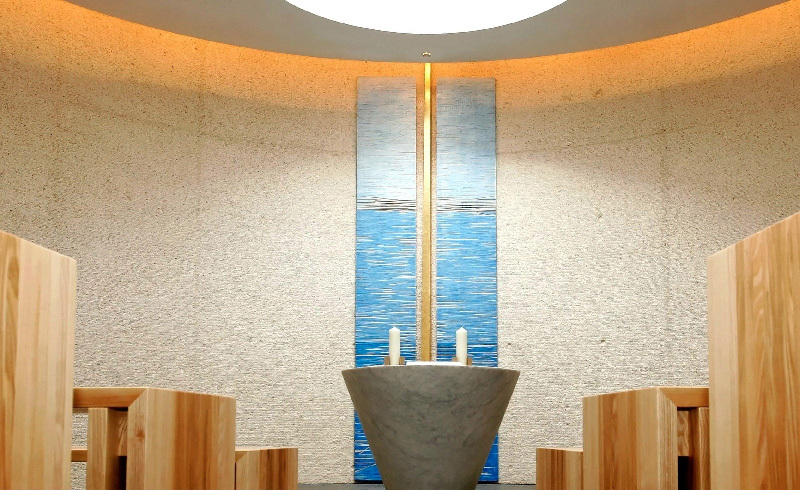 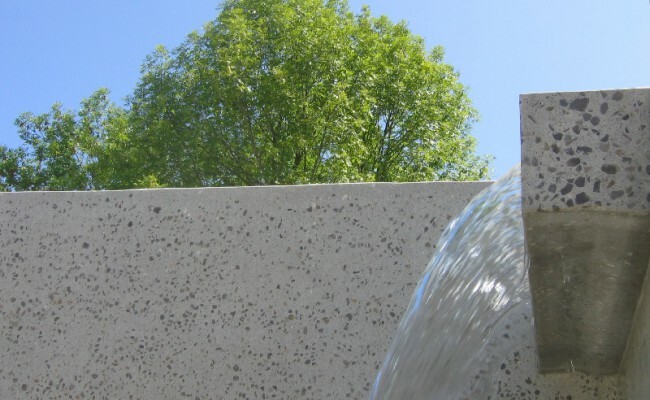 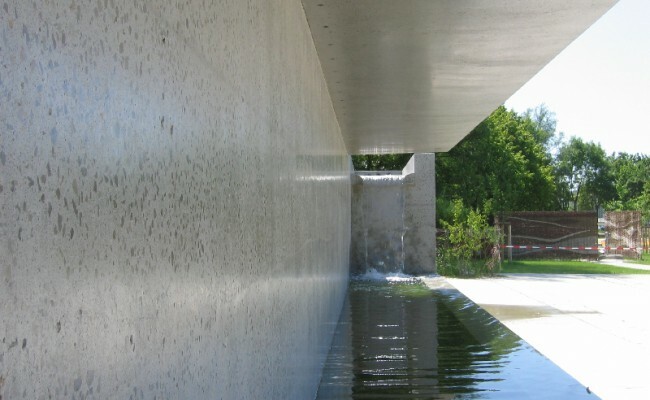 The fountain made of polished concrete imbues the water with teeming vitality. 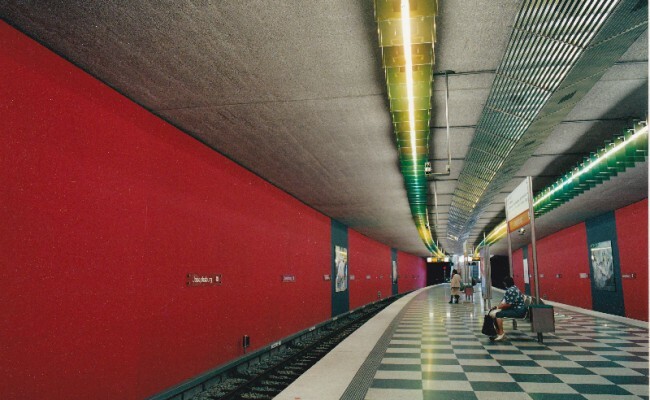 The Josephsburg subway station lies in Berg am Laim, a district of Munich. 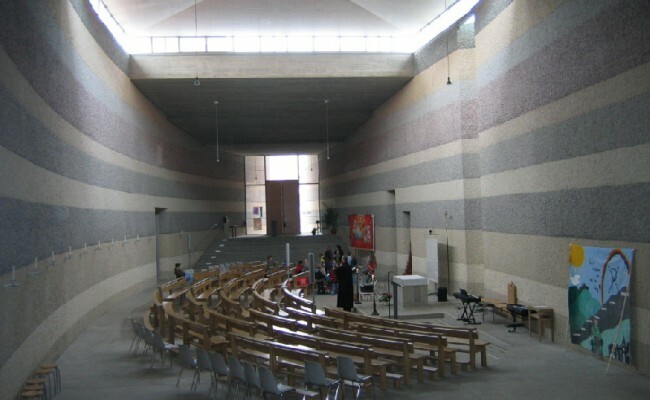 Integral to the design of this building are the ceiling structures, including the cross bracings and all of this is bush hammered. 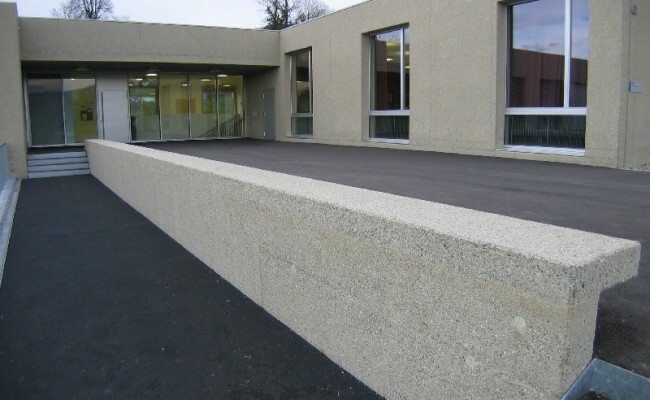 The base of the ground floor of the media centre in Schladming was in situ cast and bush hammered. 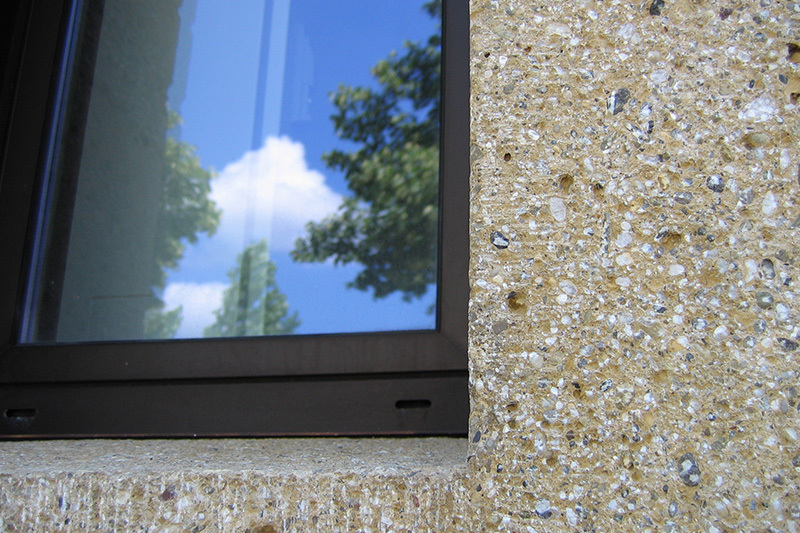 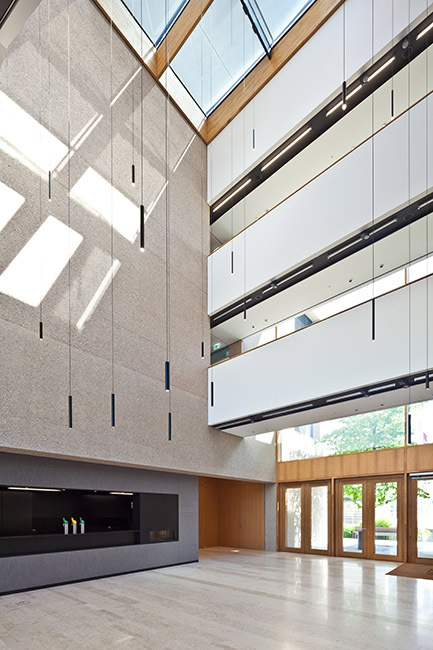 The bush hammered surface blends in well with the modern, airy construction of wood and glass. 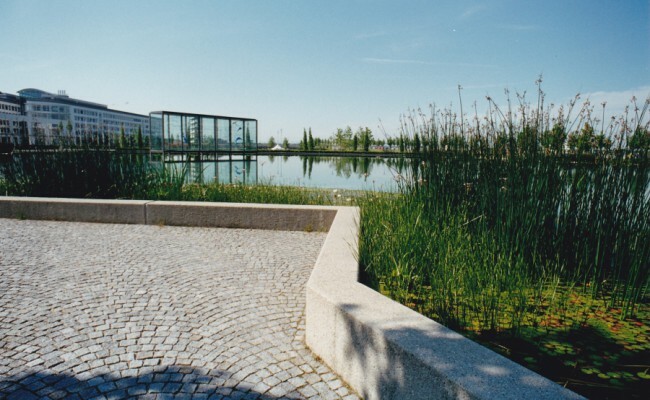 The trade fair in Riem, a district of Munich, is on the site of the former airport and in 2005, when the Bundesgartenschau (gardening fair) took place, the whole area was redeveloped. 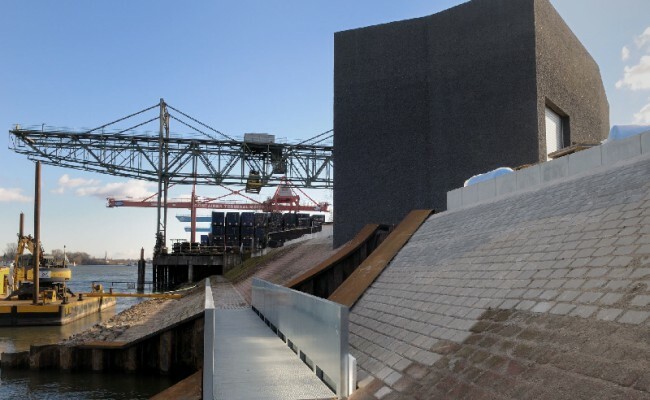 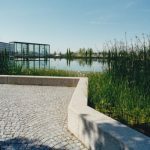 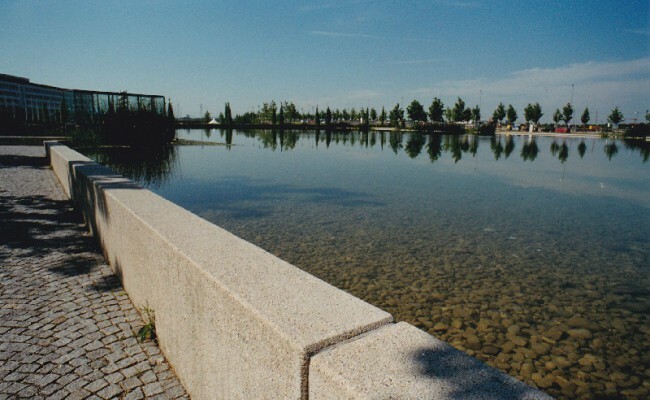 A landscaped park, complete with bathing lake, was created and the quay wall was made using bush hammered concrete. 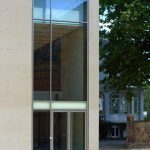 This prestigious urban villa, located in the middle of a park in Luxembourg, has been renovated and a new extension added. 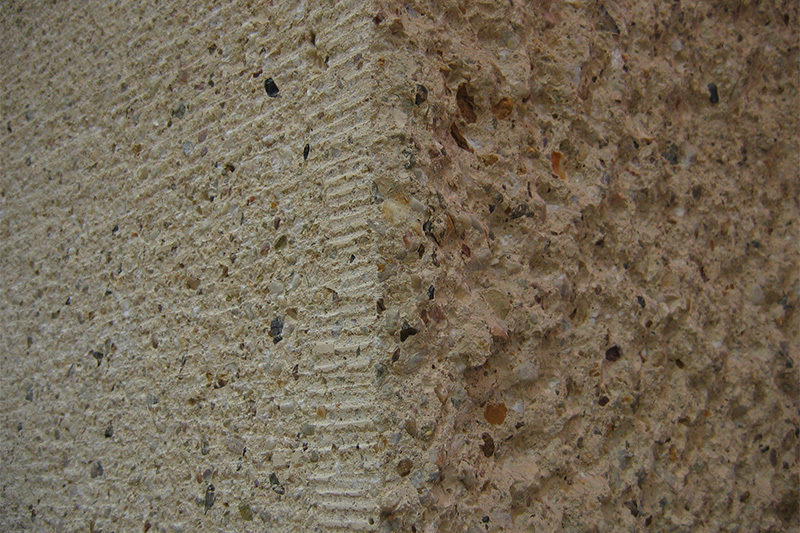 The predominant construction material on the inside is concrete. 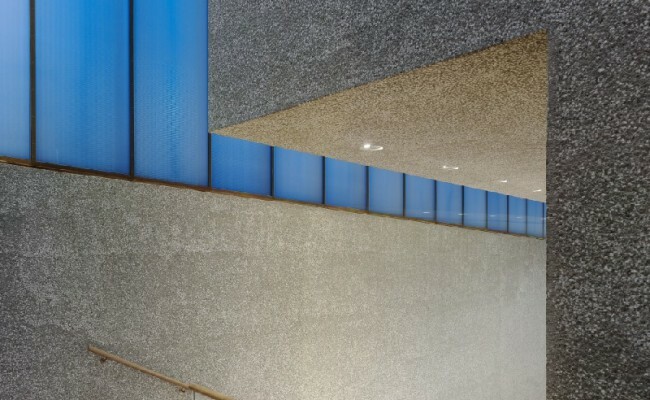 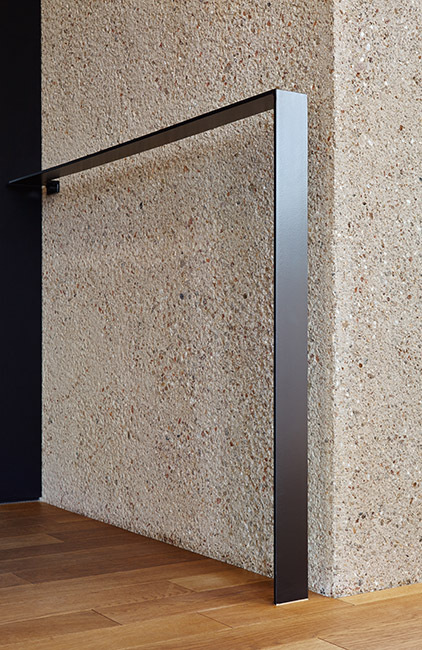 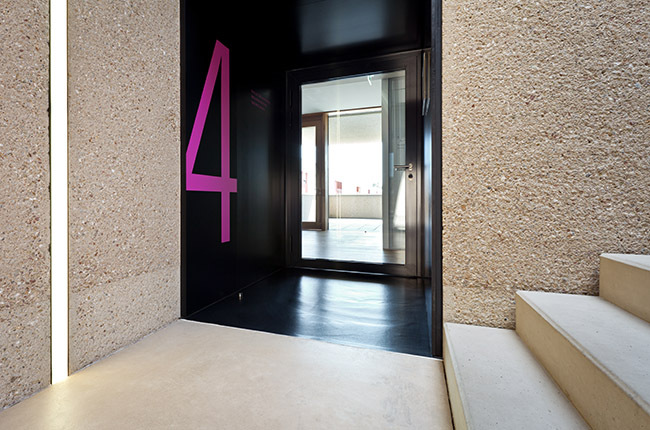 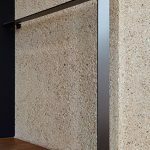 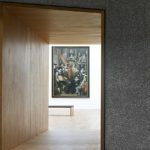 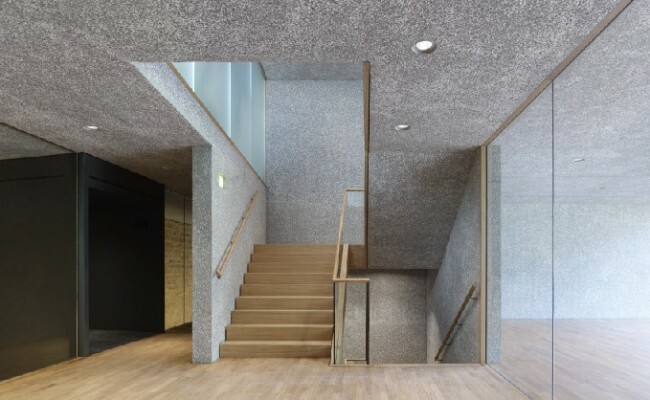 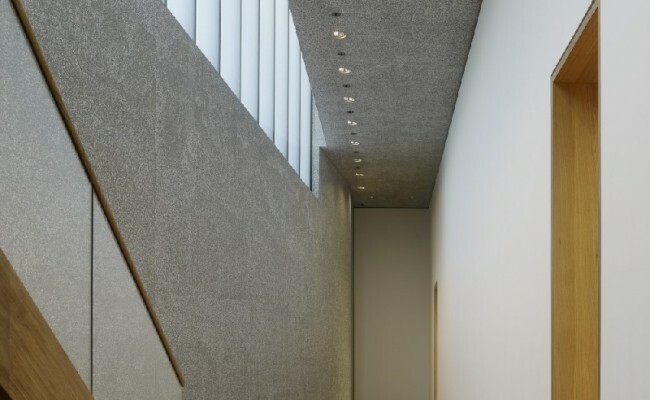 The unfaced walls of the foyer, staircase and children’s ‘atelier’ feature a special surface finishing of the exposed concrete. 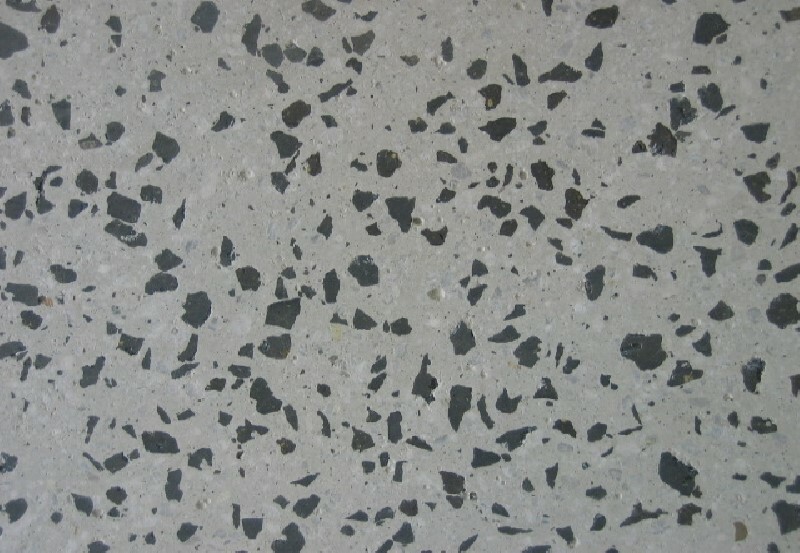 All surfaces were worked on with a bush hammer and the end result is a scattering of bright little pieces of quartz shining throughout. 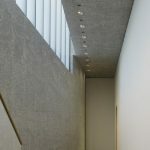 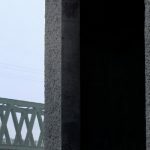 The concrete volumes appear massive and sculptural, as if they had been carved out of one single large volume. 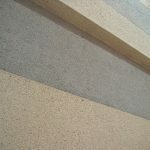 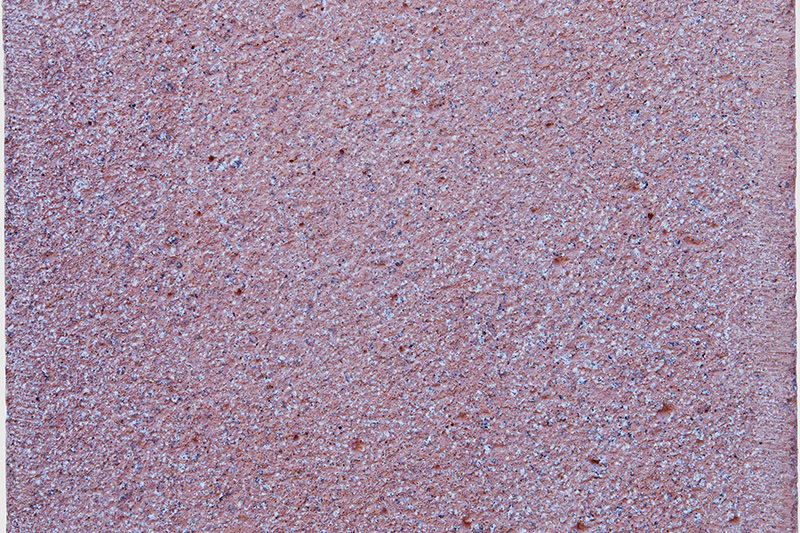 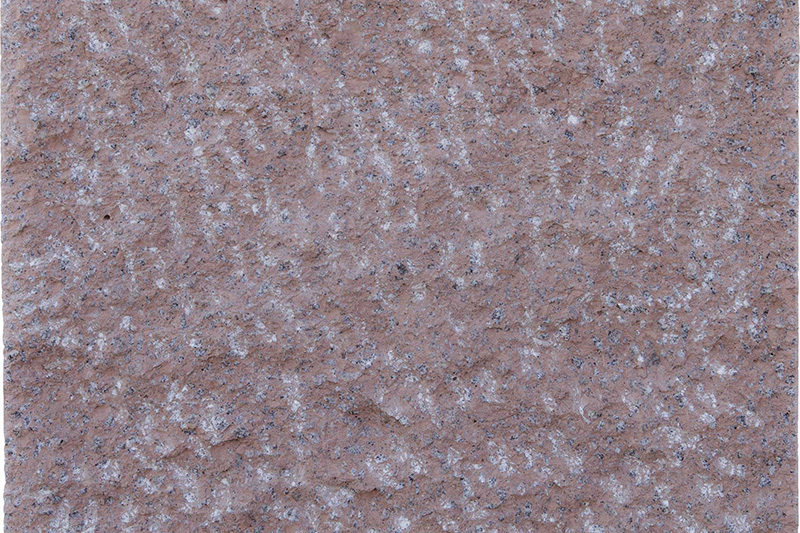 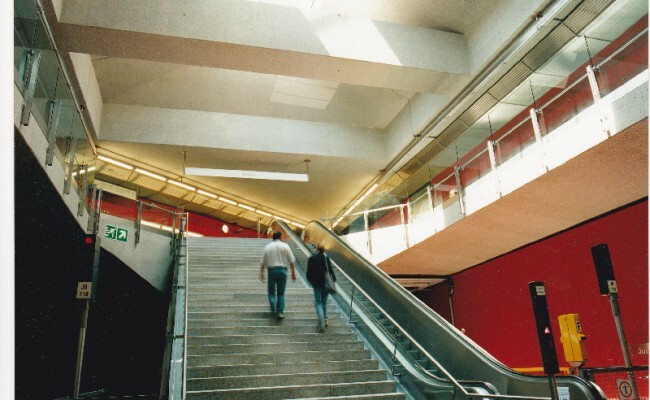 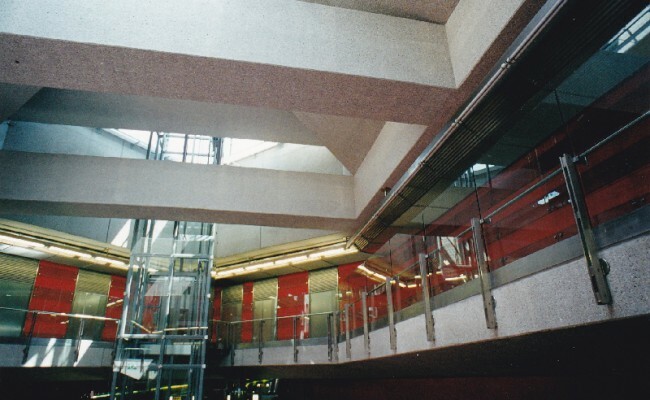 After the surfaces were bush hammered, diamond abrasives were used in order to make the surfaces smoother and to prevent crumbling.